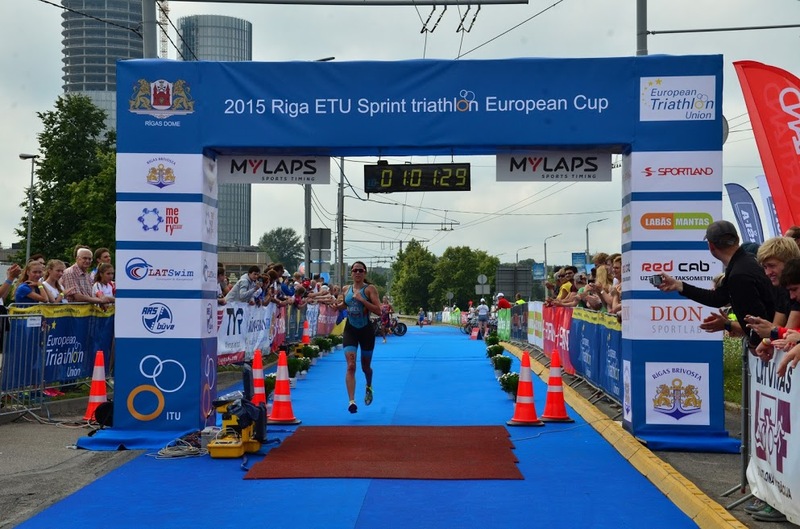 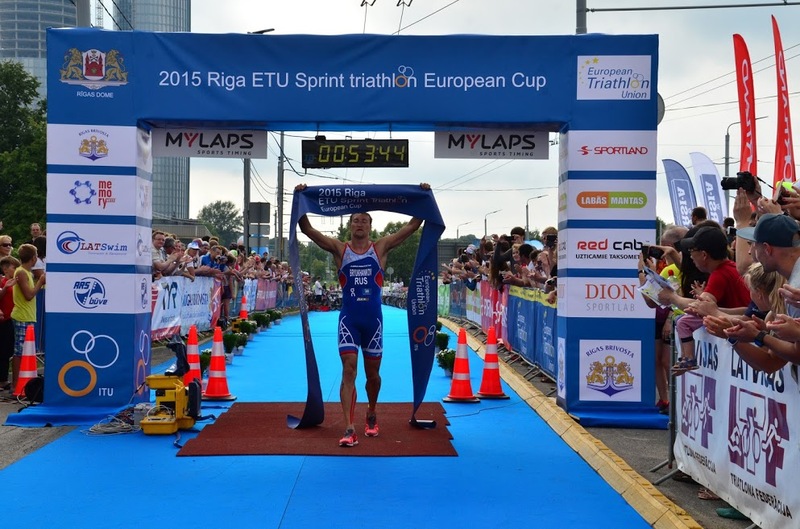 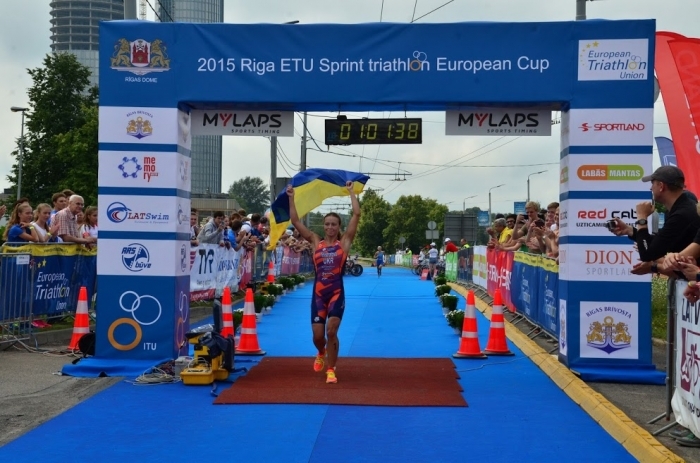 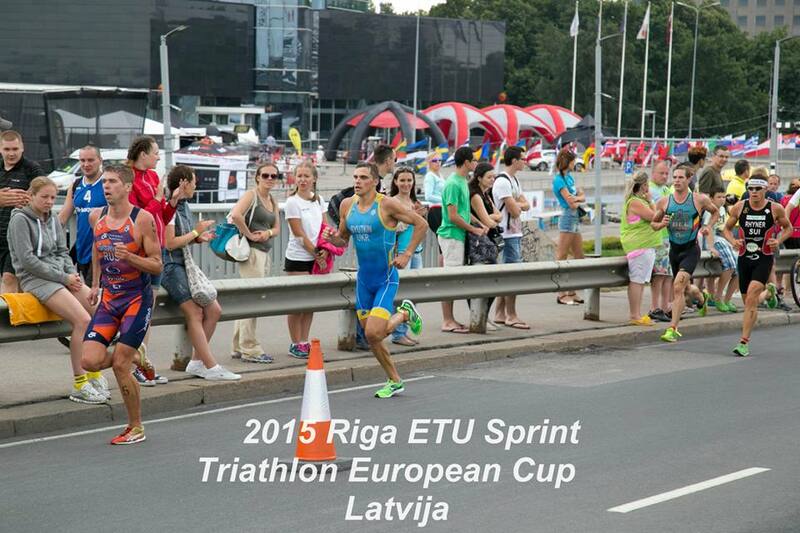 This last weekend saw a great celebration of our sport in the Latvian Capital, Riga. 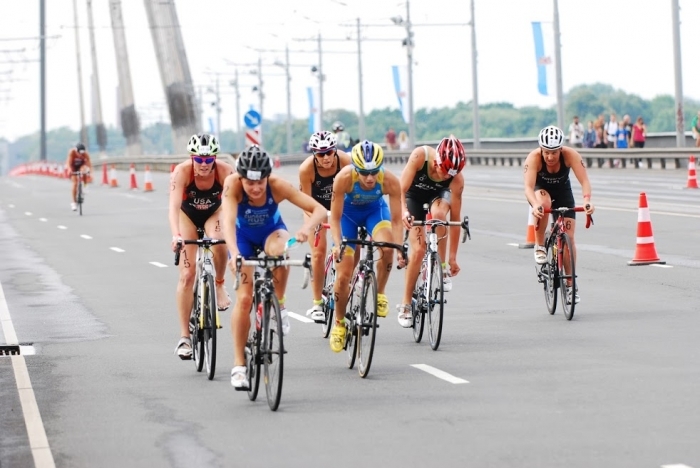 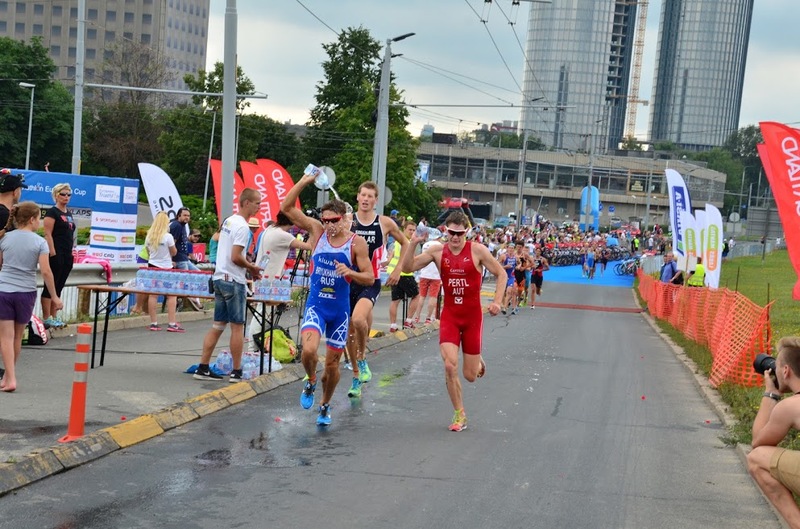 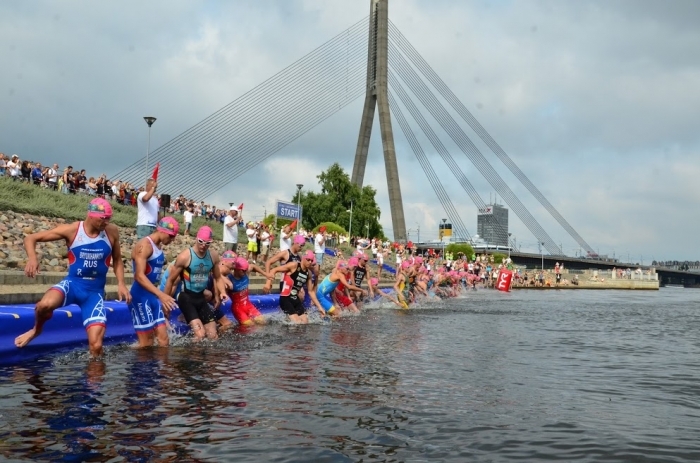 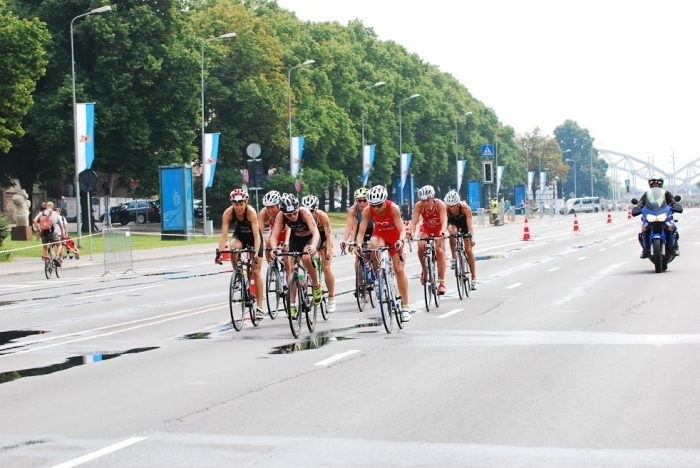 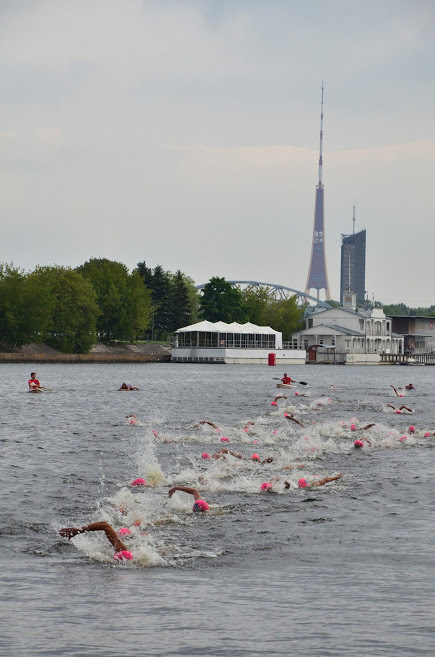 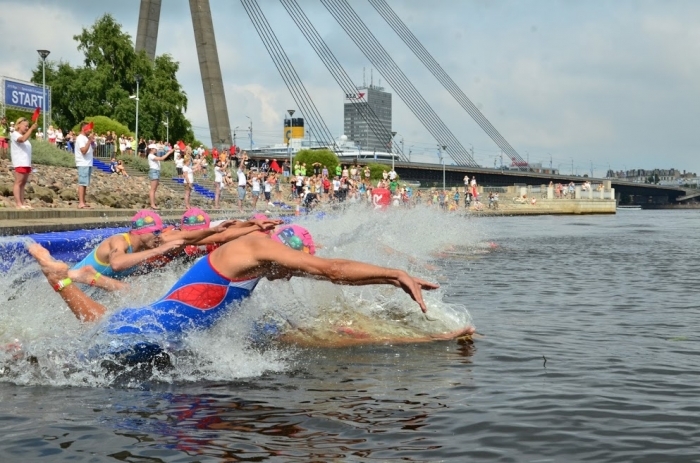 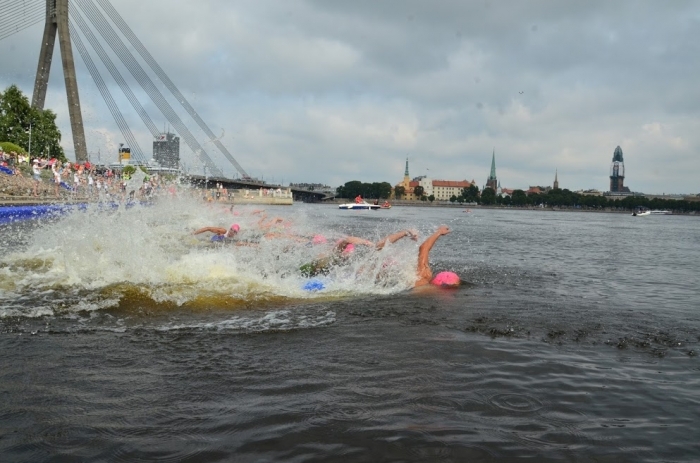 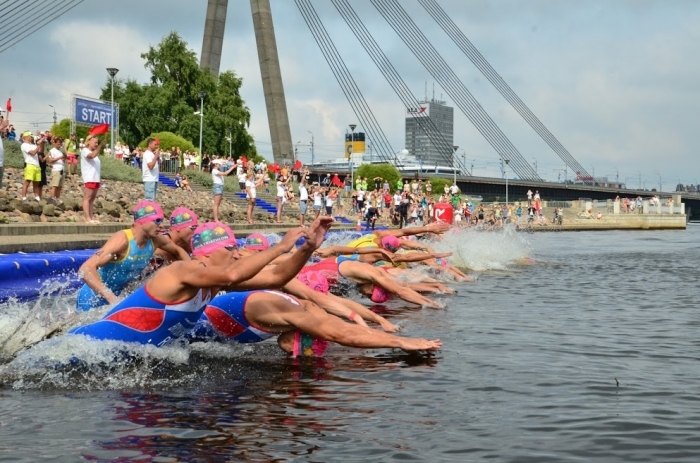 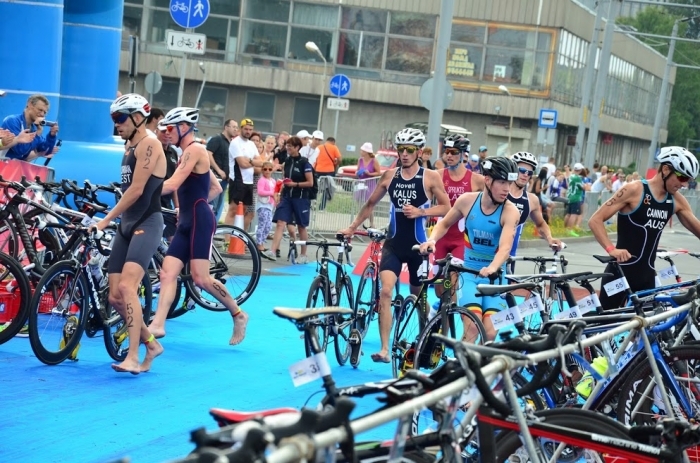 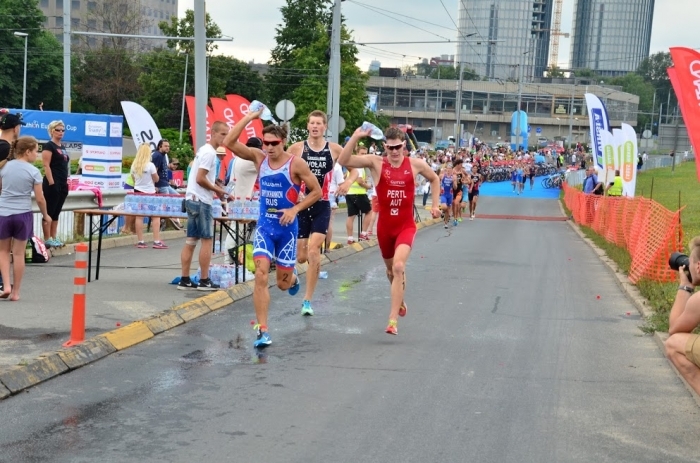 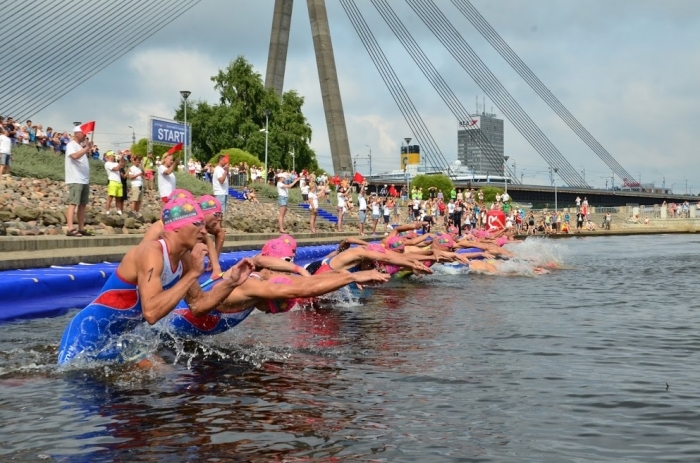 The LOC along with the Latvian Triathlon Federation and their sponsors pulled out all the stops to promote their event and with the wonderful backdrop of the city there was a chance to race for Elite and for the Age Groupers. Amongst the women it was a welcome sight when Yuliya Yelistratova UKR lined up for the start. 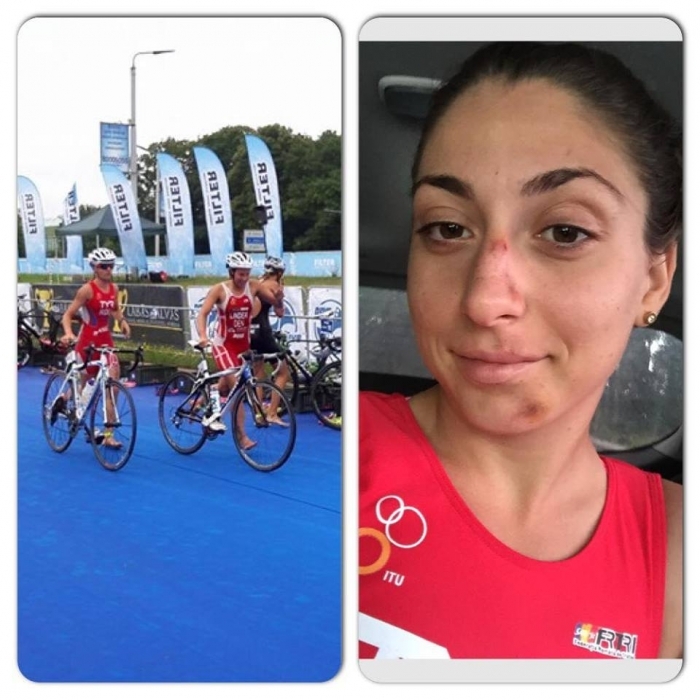 Following her crash in Kyiv it looked initially as if she would be out for most of the season but hard rehabilitation work with her partner and coach, Vladimir Turbaevskiy RUS has paid off and she is back. 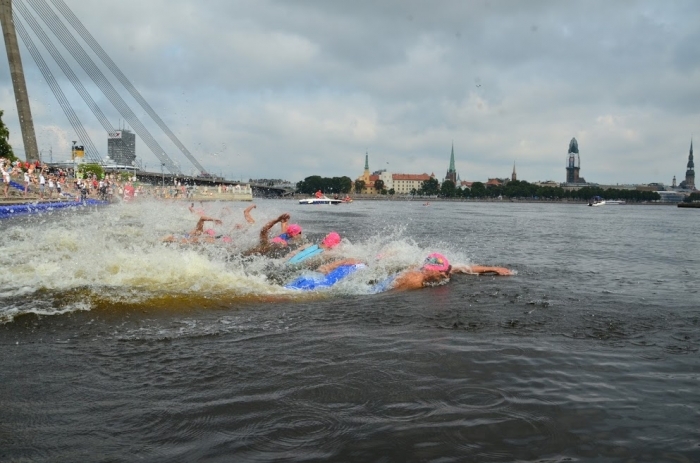 With the non-wetsuit swim underway there was expectation that fellow Ukrainian, Inna Ryzhykh would feature high in the water and sure enough she was at the front. 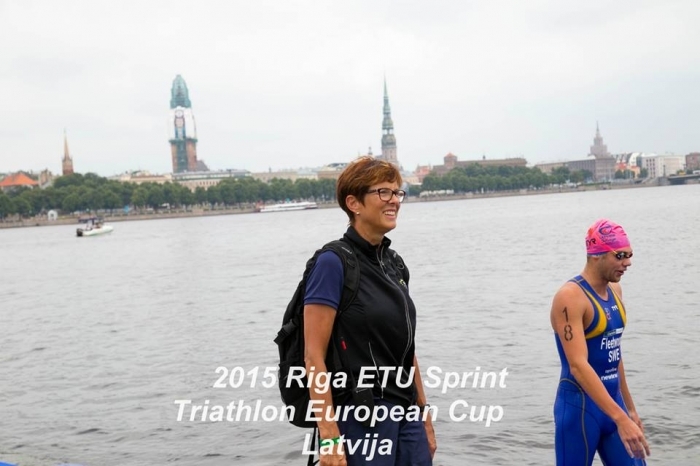 However it was Valentina Zapatrina RUS who led the swim. With a comfortable gap of 13 seconds she was followed by Italian Sara Papais and then Ryzhkh and a bunch of 6. 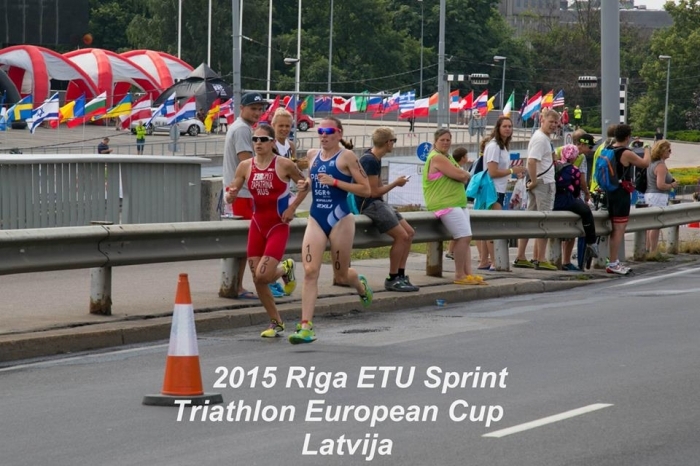 In this chasing group was Mariya Shorets RUS who was celebrating her birthday on race day. 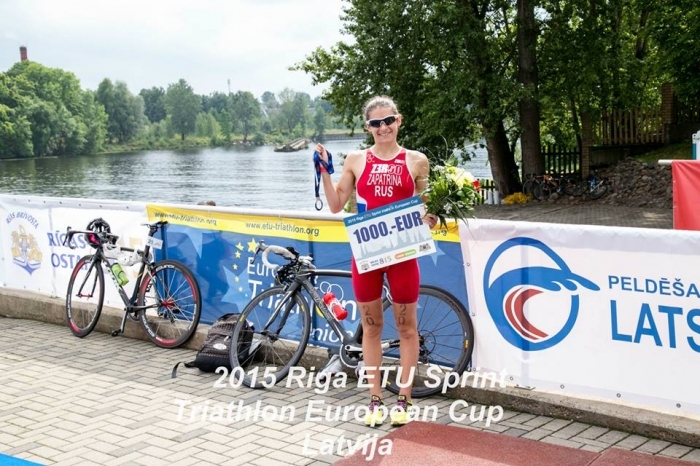 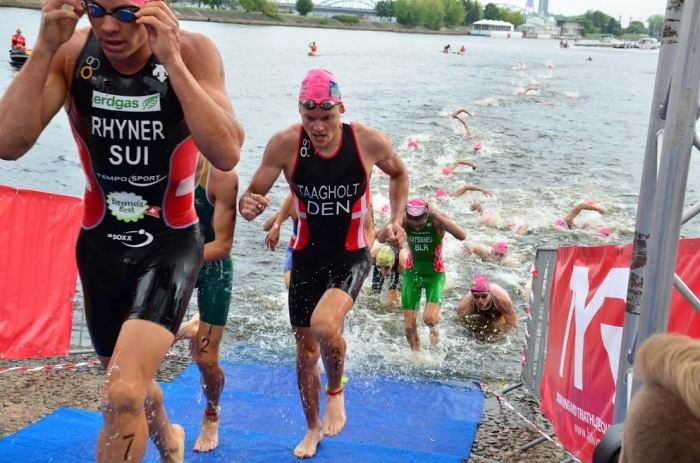 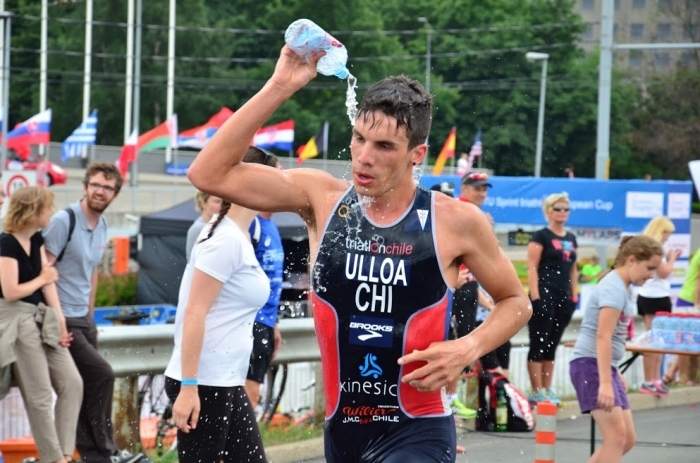 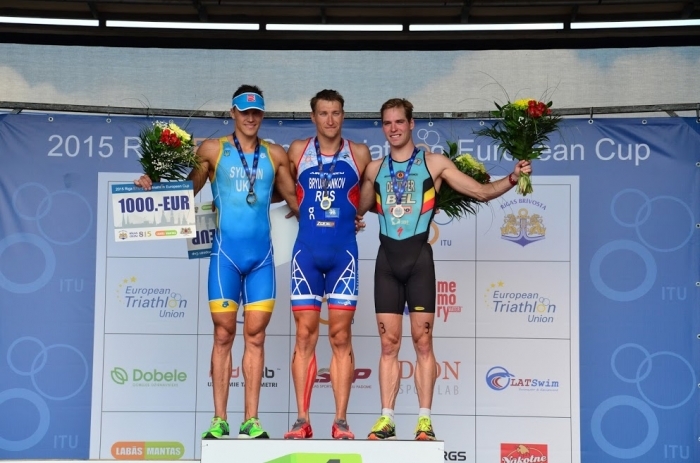 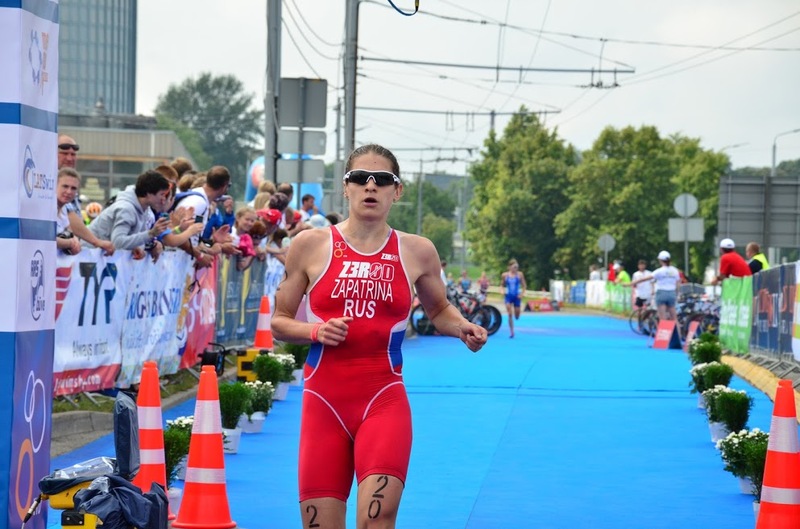 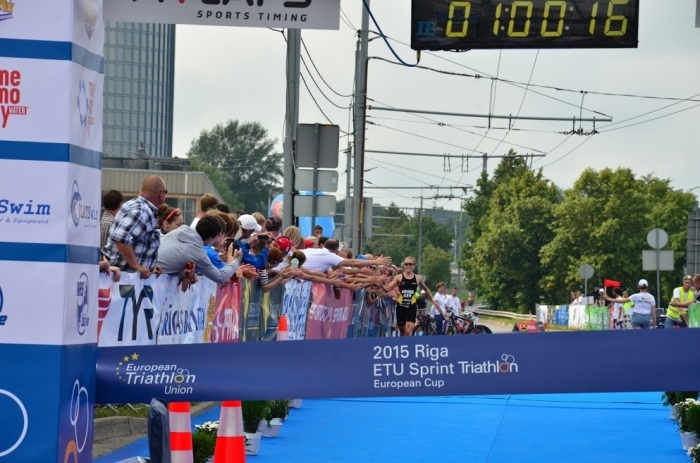 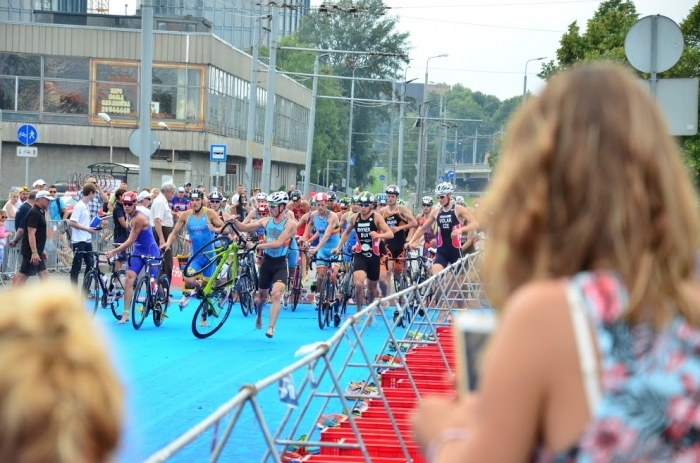 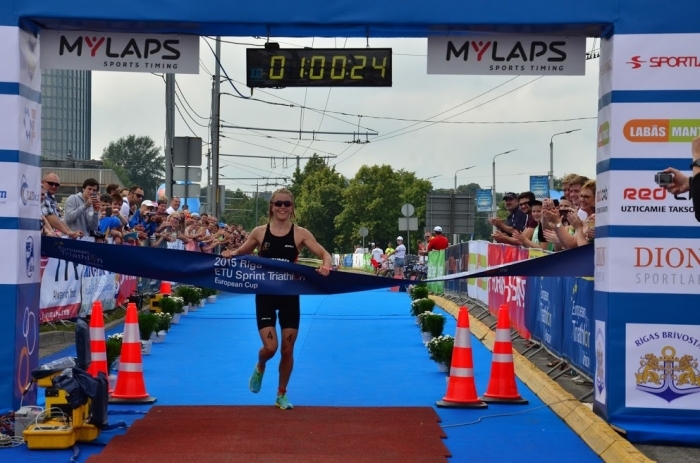 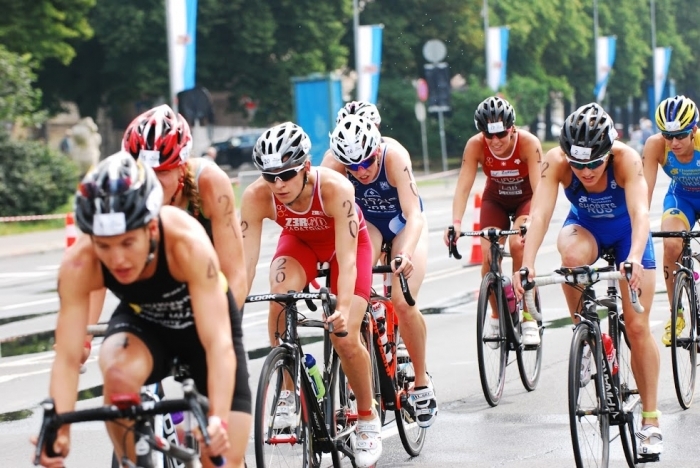 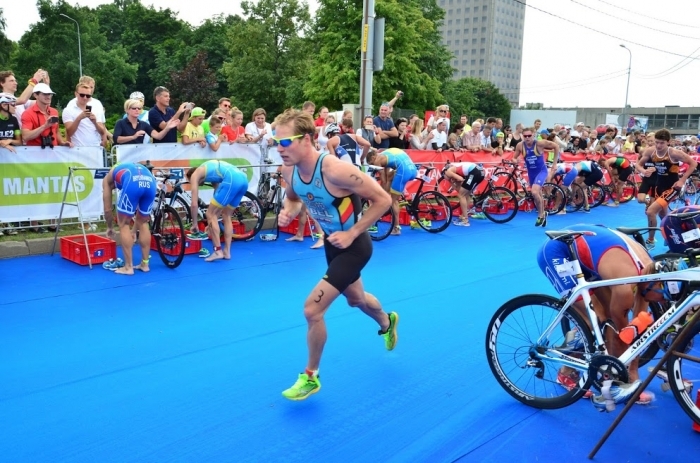 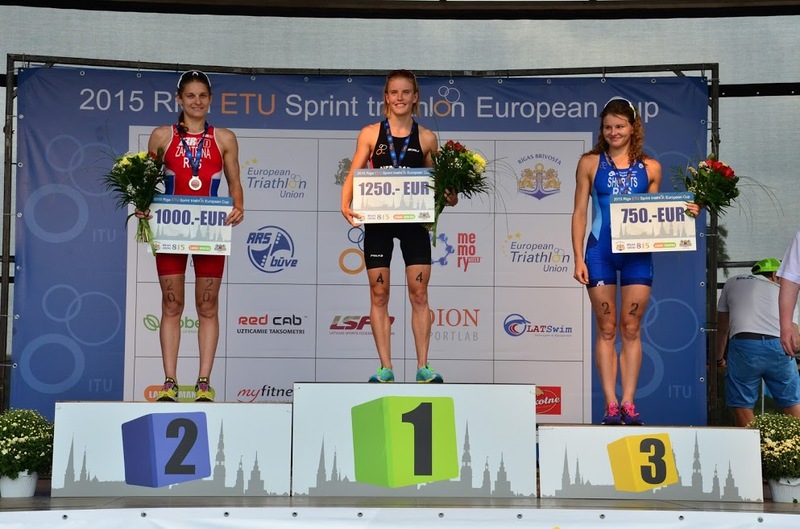 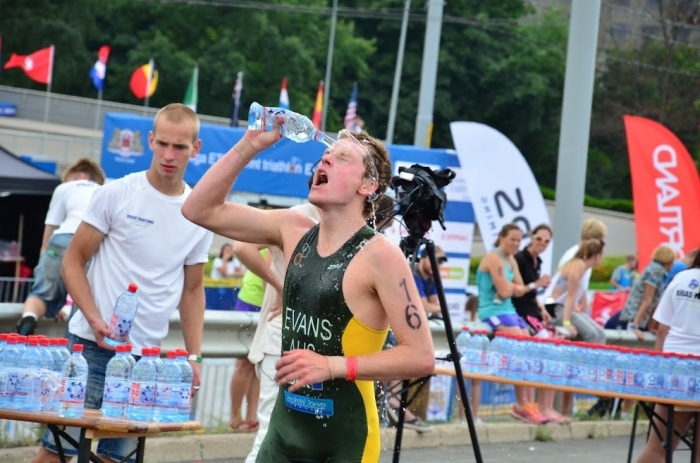 Behind them came a chasing group of strong athletes, amongst them was the rising German star, Lisa Sieburger who dominated at the recent Châteauroux ETU Sprint Triathlon European Cup. 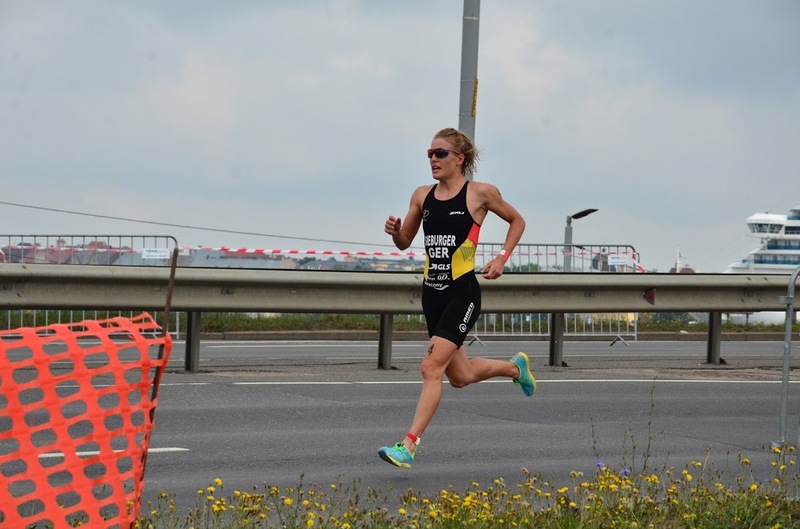 Her tremendous pace is a real threat to all at the moment and if she was able to work to a safe place on the bike it was likely that she would overtake anyone out on the run. A long run took the athletes through the crowds to T1 and it was enough for Zapatrina to escape. This left space for the chase pack to group out on the wide roads in the centre of the city. 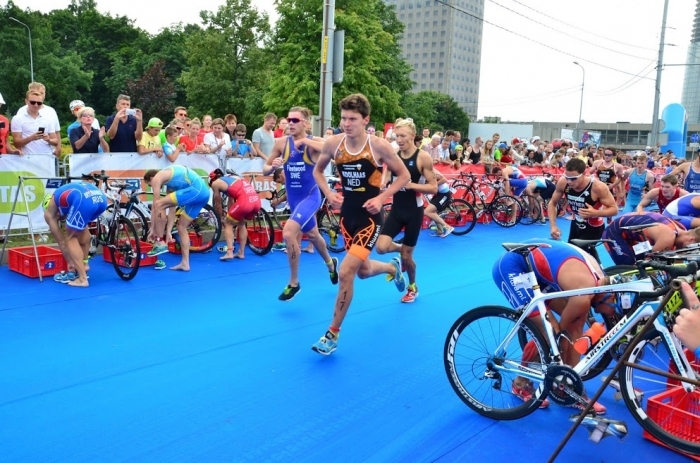 She was caught by the chase group who then set about working hard to hold their lead over the second pack. 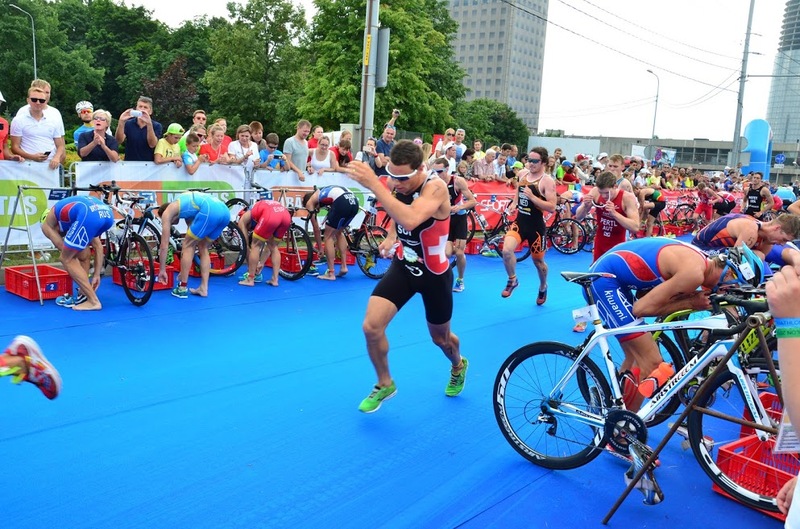 There was some drama out on the bike course with several crashes. 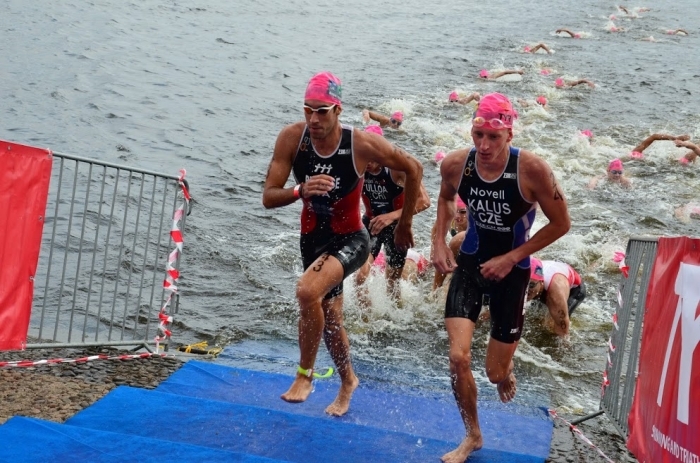 Luckily none were serious but athletes went home with DNF’s, cuts and bruises. 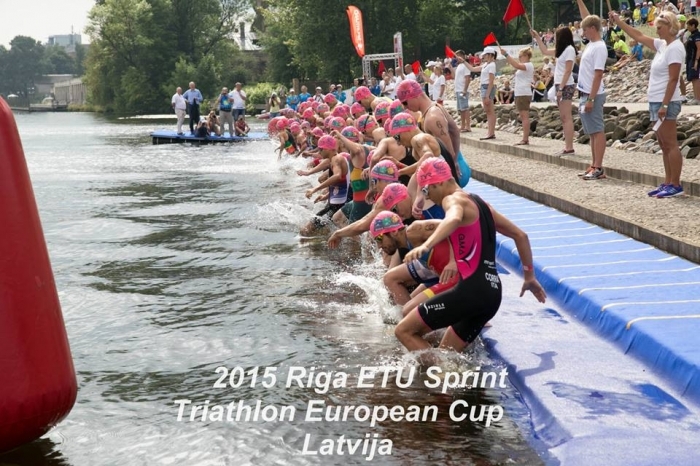 ETU would like to wish each and every one of the athletes a speedy and full recovery from their injuries. 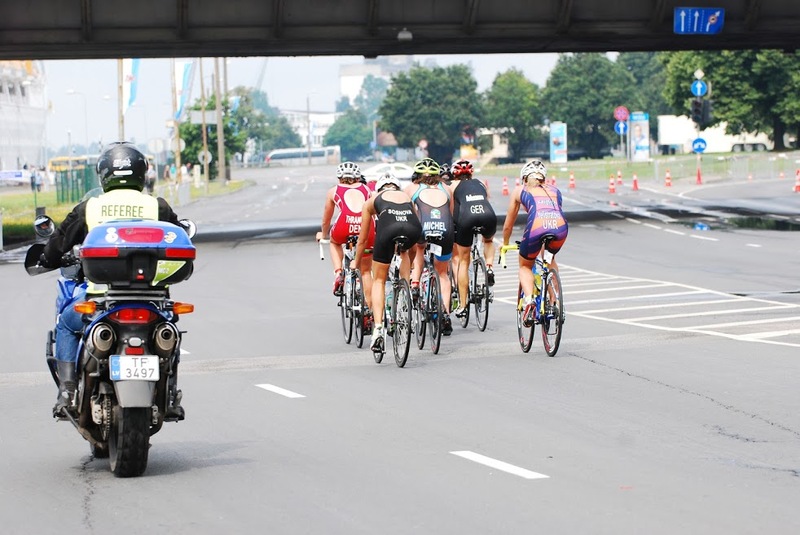 Meanwhile, Yelistratova was holding a good position and being safe on her bike. 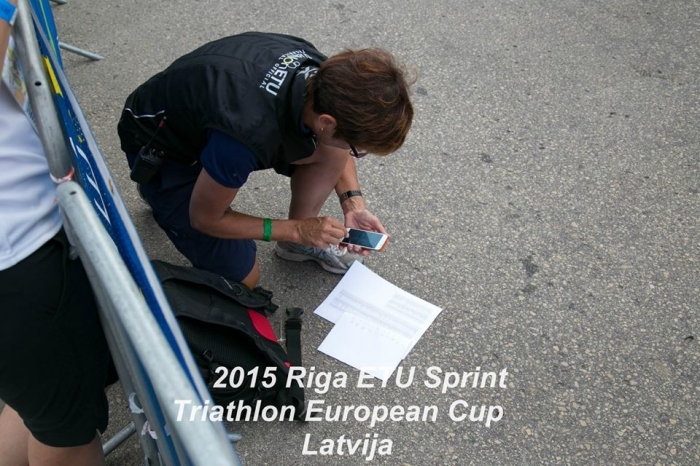 As the athletes raced into T2 the Technical Officials were there to make sure any infringements were recorded. 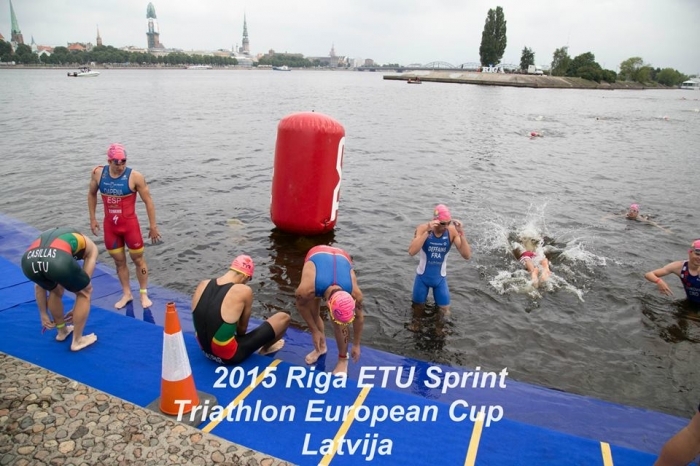 It was a clean race and no penalties were issued. 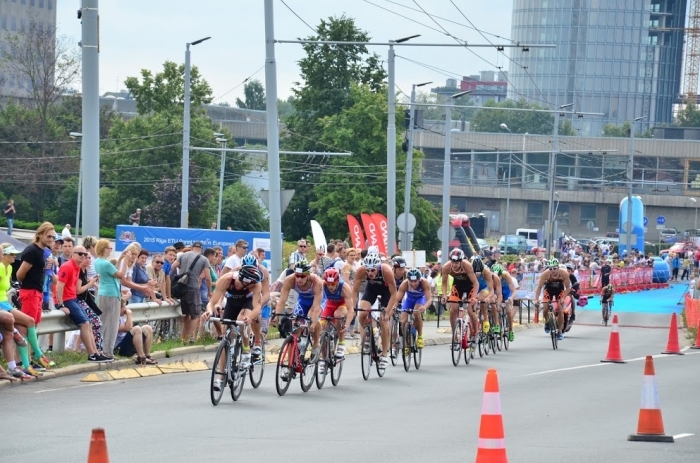 So, out onto the run and soon the scorching pace of Sieburger kicked in. 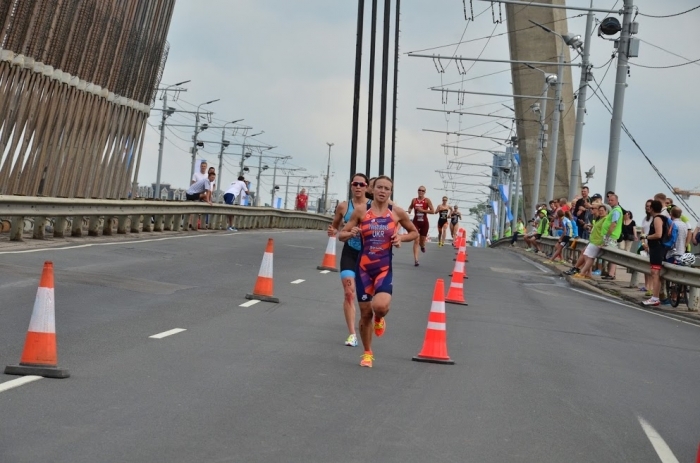 In sight but with work to do was Belgium’s Claire Michel and Yelistratova. 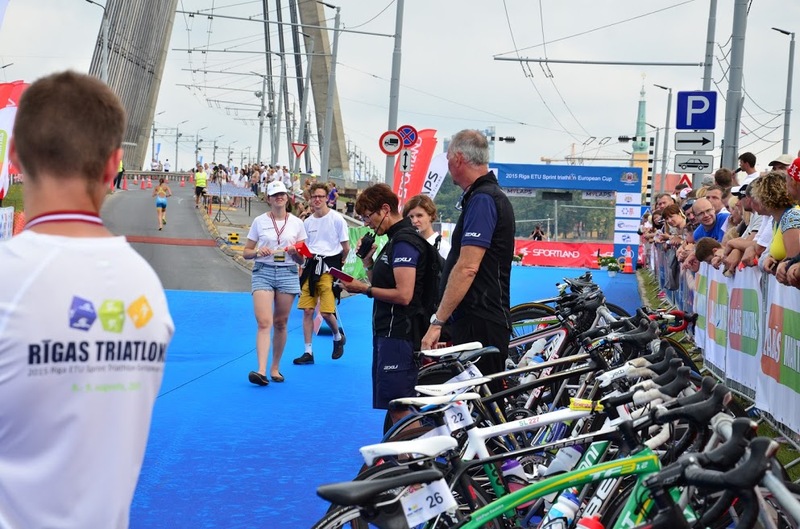 As Yelistratova pushed it seemed that Michel could not follow her but in the final stages the Belgian had just that bit more to give and she moved to lead the Ukrainian. 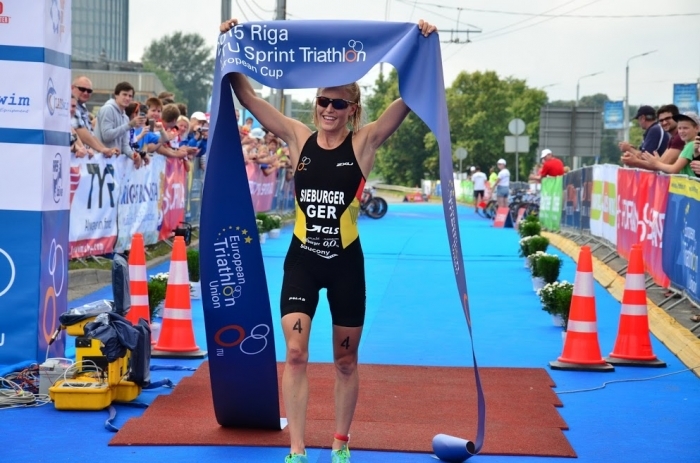 Further ahead the race was in the hands of the German Sieburger and in no time at all she was onto the blue carpet with the finish tape in sight. 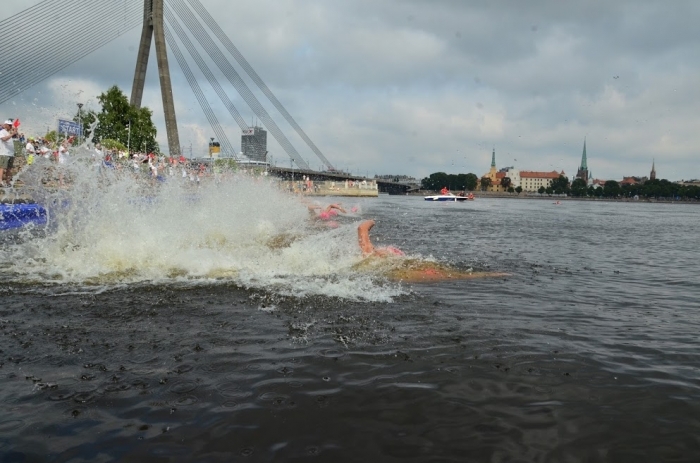 Zapatrina held on to silver and cruised across the line. Unable to beat Sieburger she had comfortably enough pace to ensure that birthday girl Shorets would have to settle for bronze. Shorets and Zapatrina can go away from this race happy. 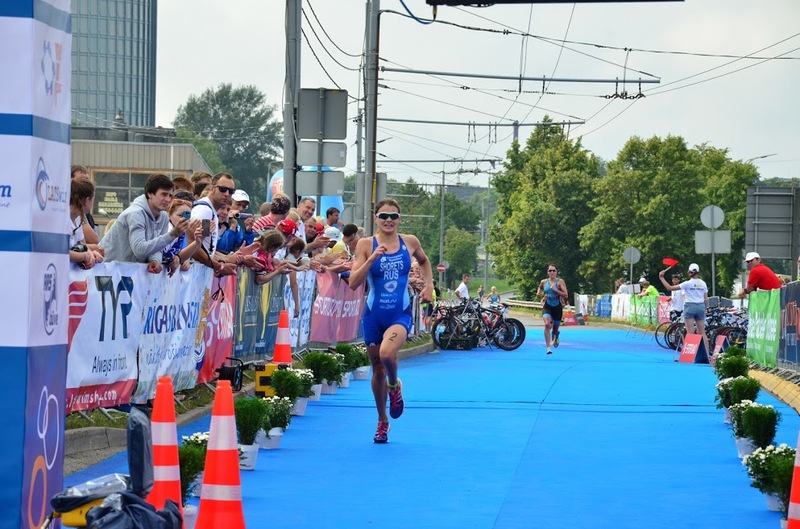 Zapatrina gets her first podium and Shorets adds to her impressive collection of 4 silvers (if you include her relay silver in Holten) and 2 bronzes since her debut as a junior in 2006. 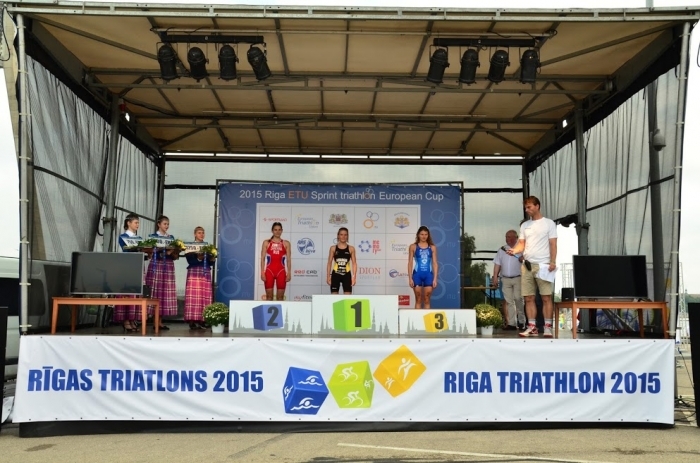 The medals presented, the cheques presented, the flowers presented and the points collected. 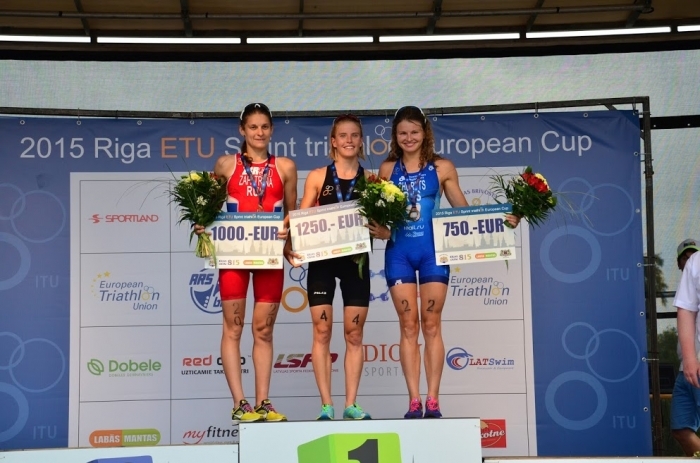 A good day in the office for these Elite Women and a job well done by the LOC. 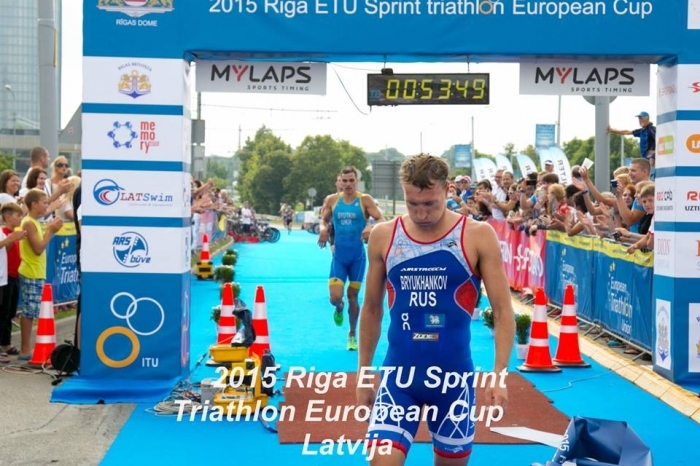 For the Men it was always going to be a battle between the Russian athletes and anyone who could keep up with them. 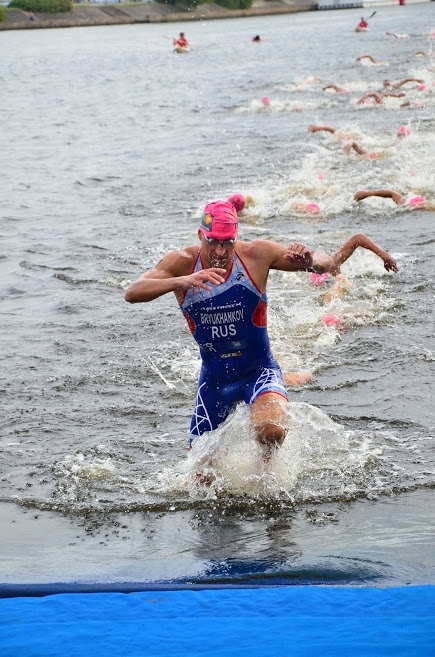 The Bryukhankov brothers; Alexander and the younger Andrey would form a powerhouse at the front and with Vladimir Turbayevskiy there was a strong chance that the podium would be filled with Russians. 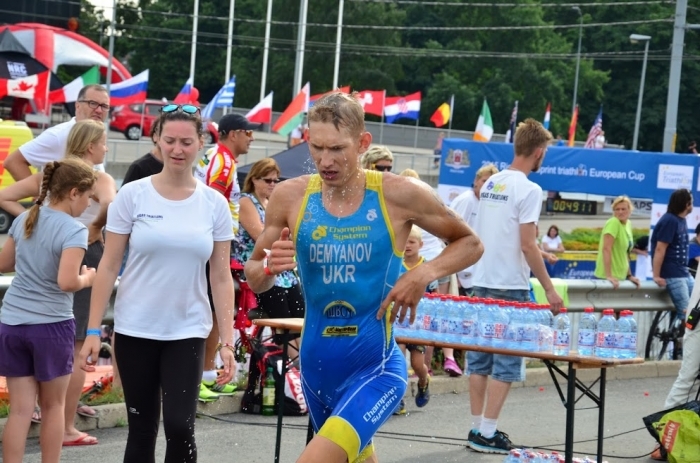 Coming to the race after a short rest and now a very proud father, was Ukrainian Oleksiy Syutkin. 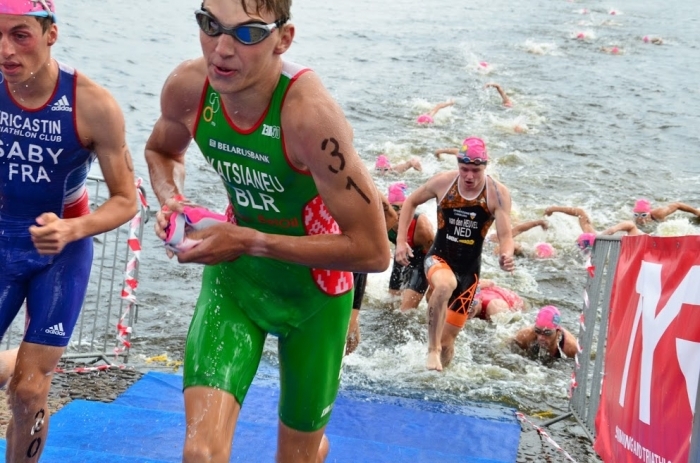 Along with Yegor Martynenko there was another strong team. 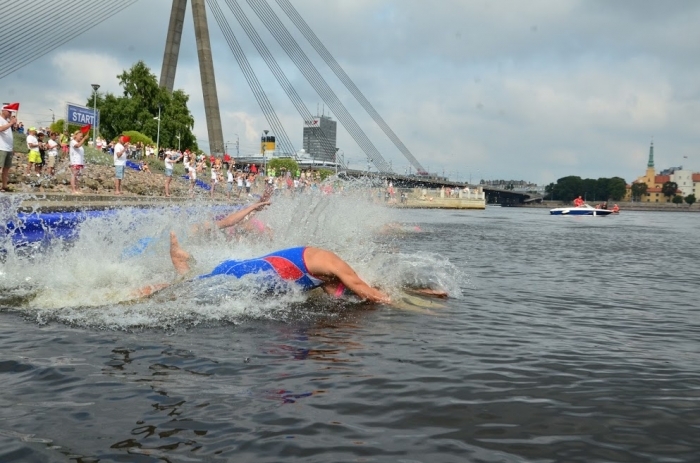 The swim is unique in that the athletes take position on the pontoon but then step down into the water as it is too shallow to dive. 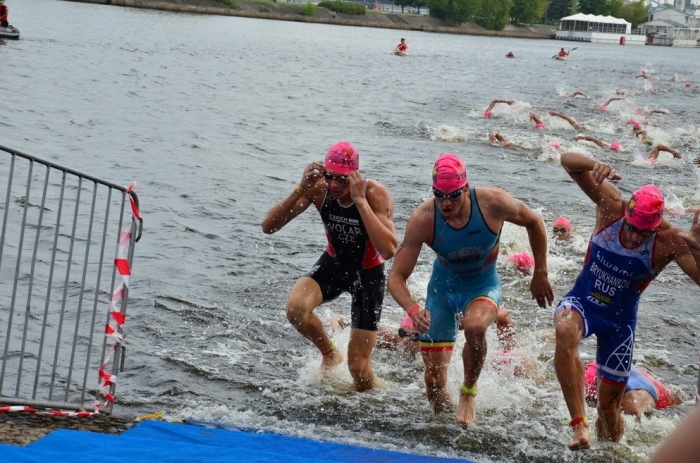 The start worked well and was a clean one with no penalties. 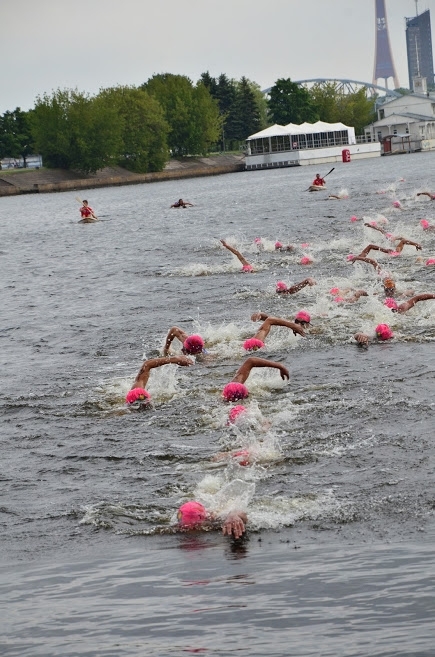 The leaders worked hard on the swim but were unable to create any significant breaks. 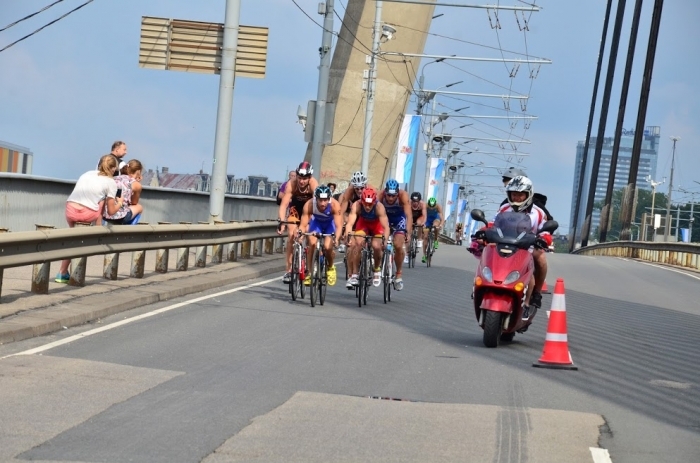 It was going to be a tough bike ride with so many top athletes together. 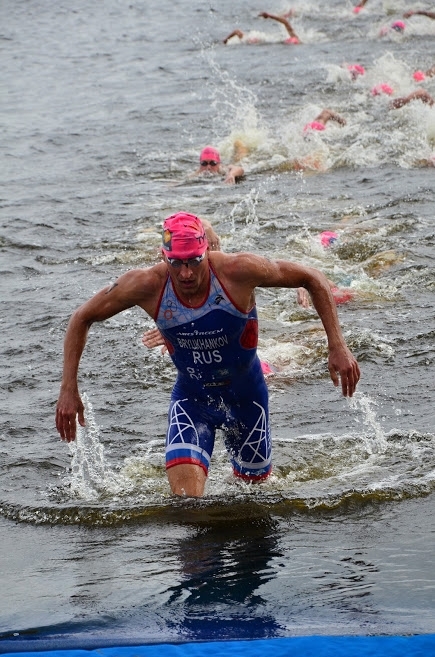 Bryukhankov the elder led the storming run to T1. Turbayevskiy was a few paces behind him with Syutkin just behind. Out on the bike and a fast-moving, tight peloton formed. 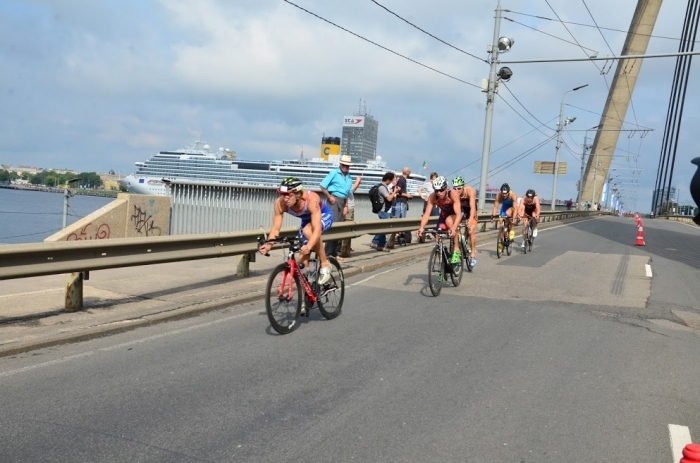 In this group were many experienced and strong cyclists and soon the pace cranked up. 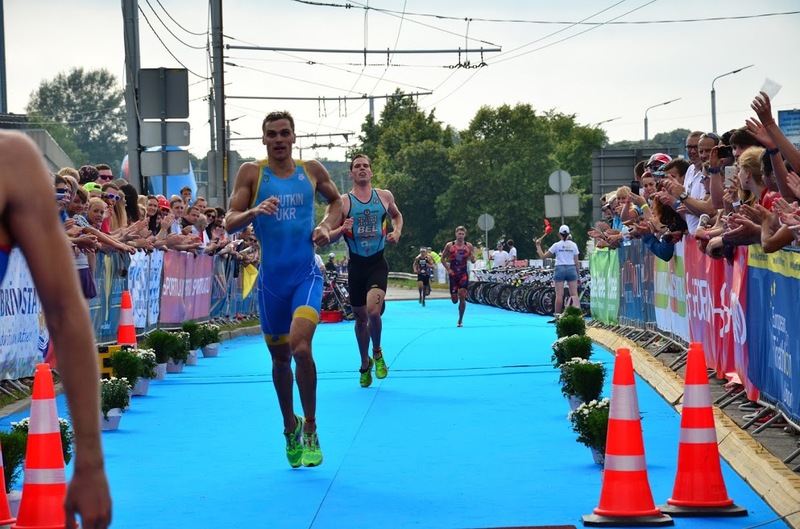 Behind them there appeared to be reluctance to share the work as we can see from the frustration of Ludwig Fleetwood SWE. Soon however the extra watts being generated brought the athletes together and the crowds were treated to a massive peloton racing around the closed streets of Riga with several strong pushes at the front to test the legs. 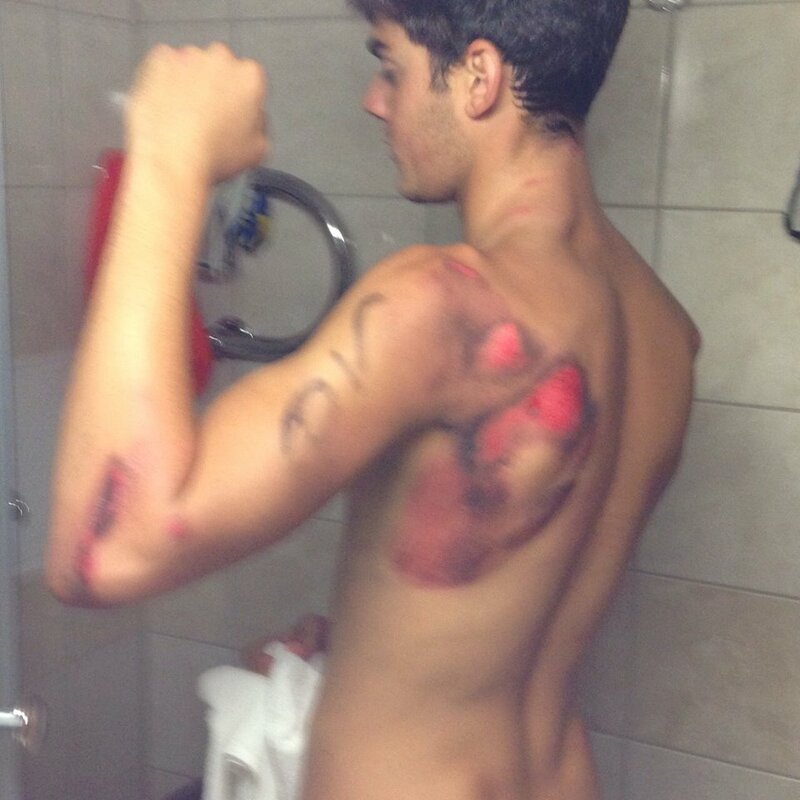 Sadly there were crashes in this race too with João Ferreira hitting the tarmac and having to DNF. 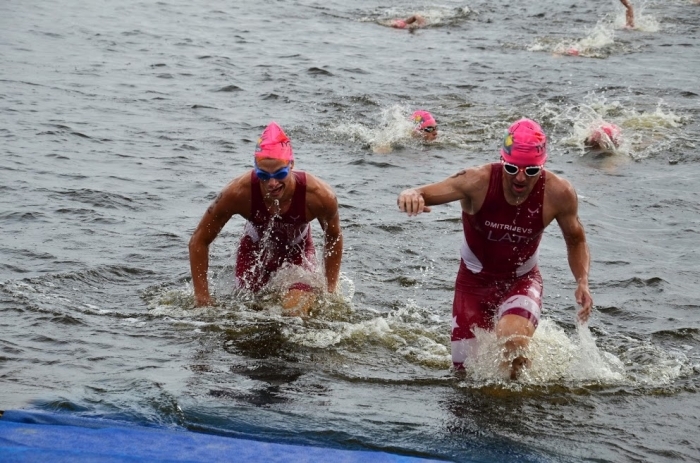 “Hold on and do not cry!! 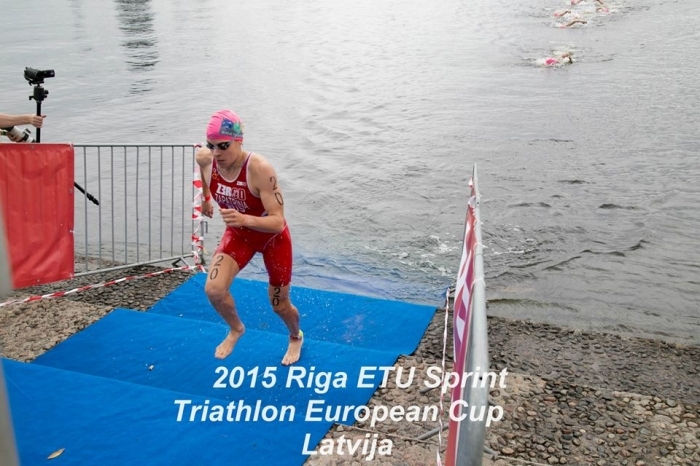 Today in the European Cup in Riga things went well at first. 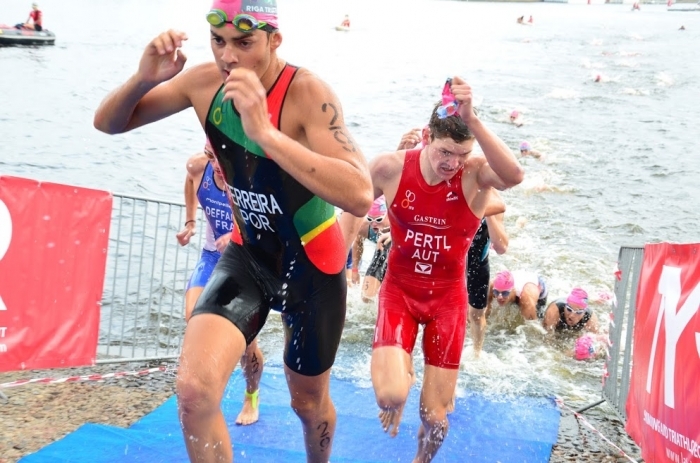 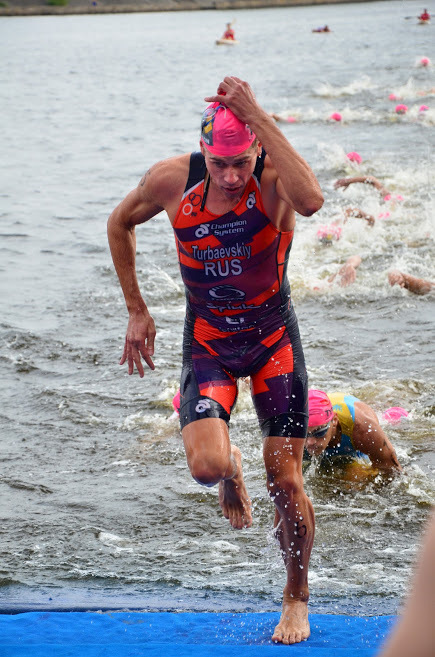 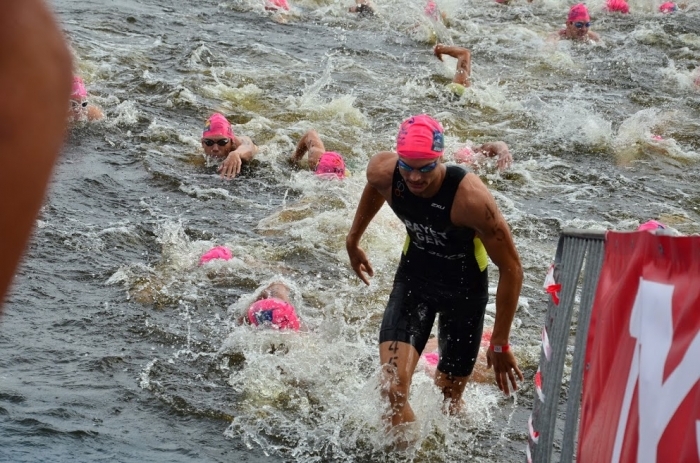 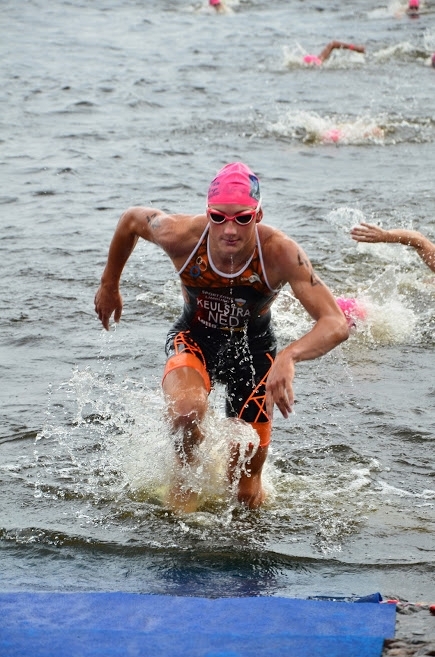 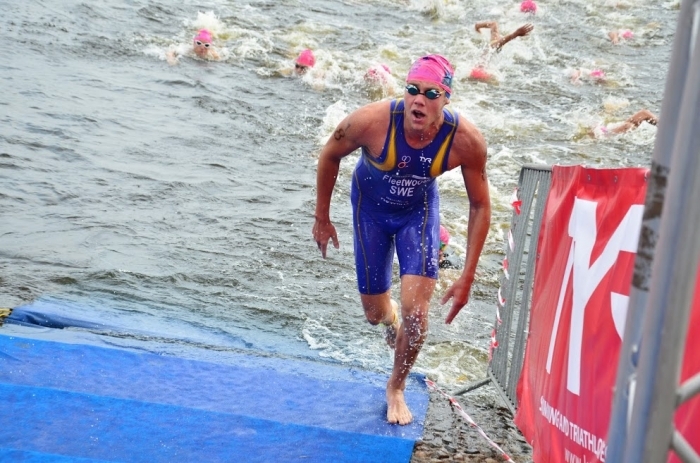 A good swim that put me in the second group a few seconds behind the leaders. 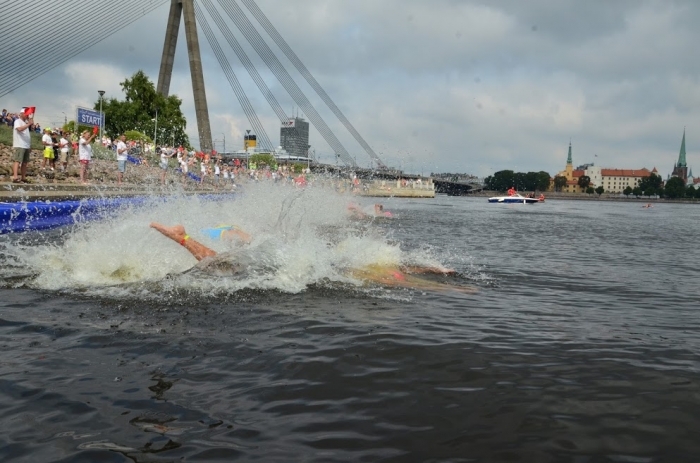 Suddenly when we were about 100m from them, BANG. 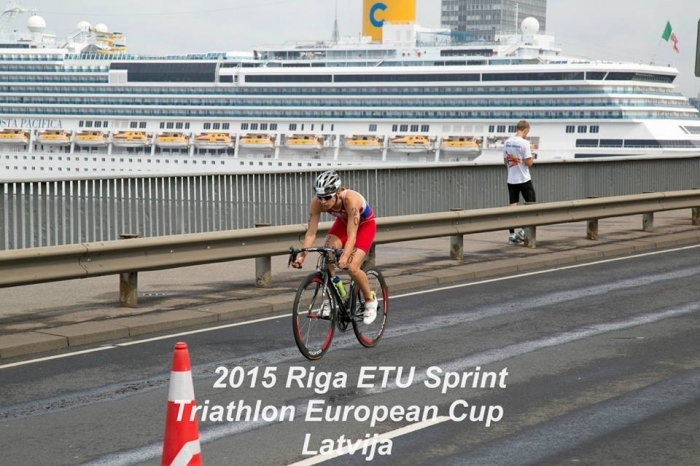 I crashed with three more triathletes. 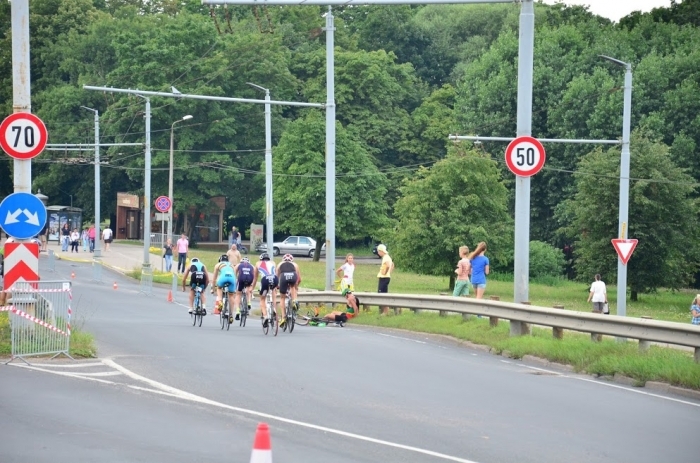 Wheel came off, in fact torn off. 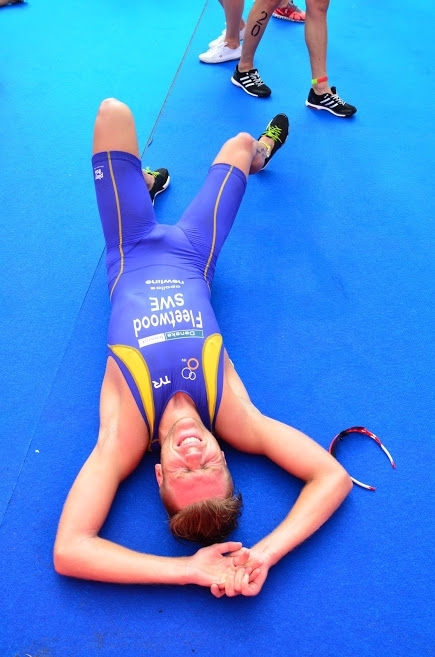 Now I can recover and come back stronger. 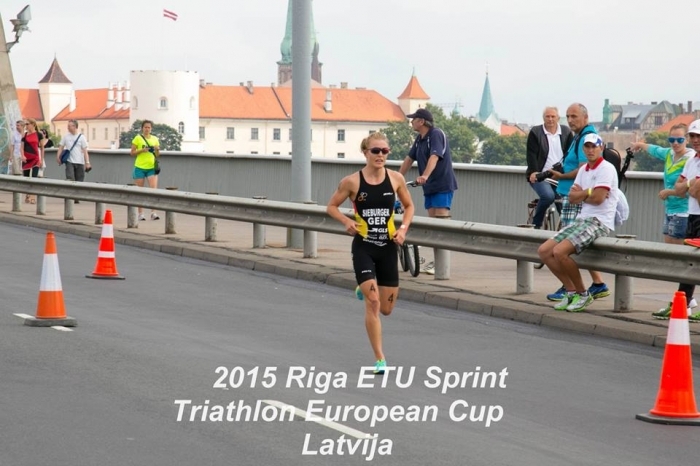 Thank you to all who continue to support me.” As before ETU wishes him a speedy and full recovery. 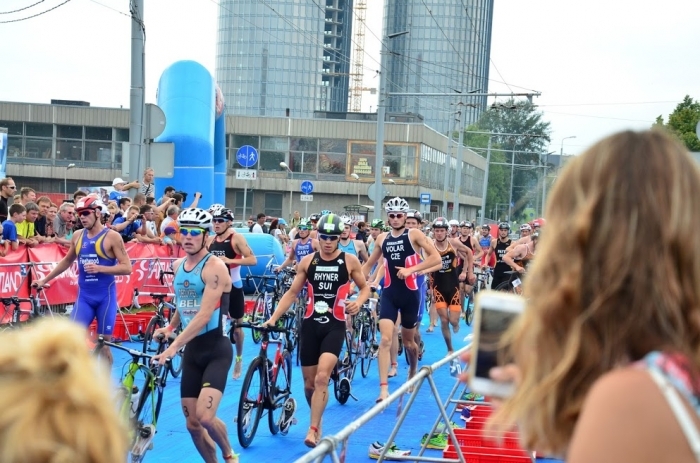 T2 was spectacular and the Technical Officials were very happy that they were using up-to-date video technology to record any infringements in the two transitions. 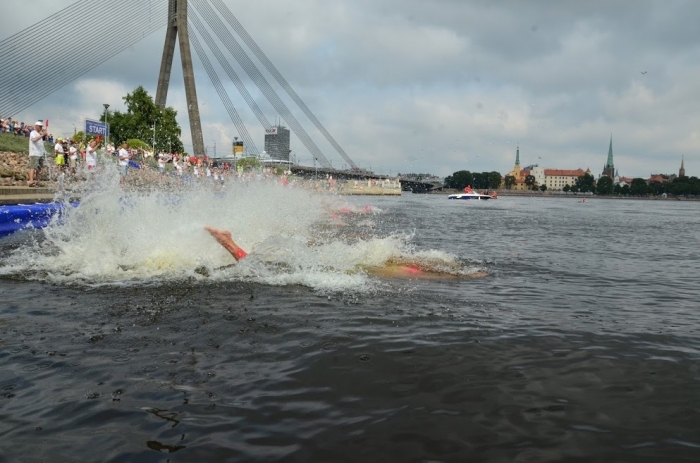 De Cuyper stole an early advantage with a lightning-fast T2 and set off with daylight between him and the Russians. 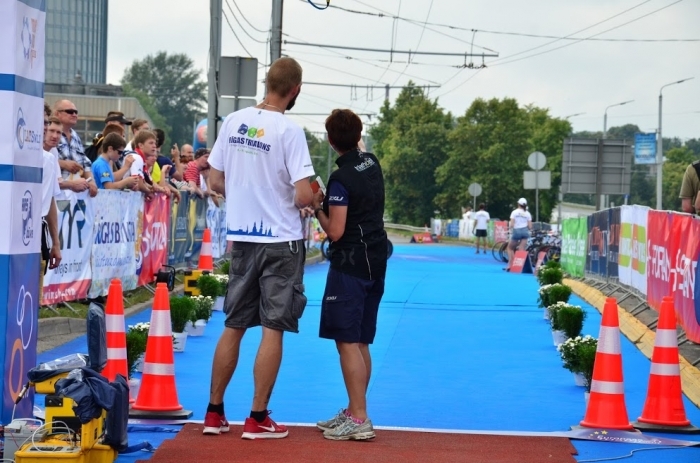 In fact those expected to be leading were still struggling with their shoes as a line of athletes left in front of them. 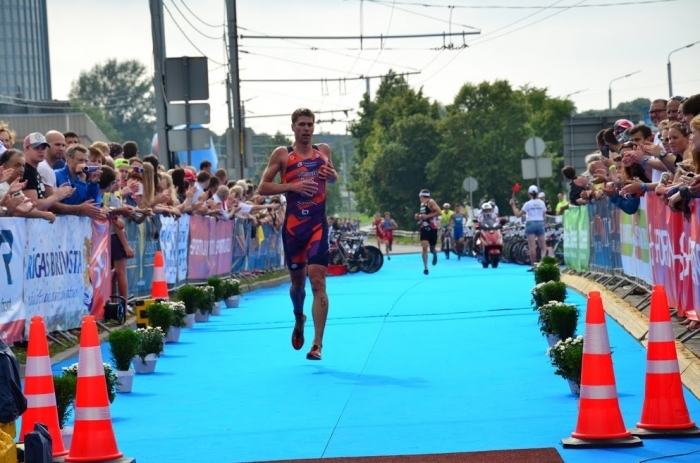 Patrick Rhyner SUI, last year’s winner could see a chance and he too dug in to try and create as much distance between him and the faster runners. 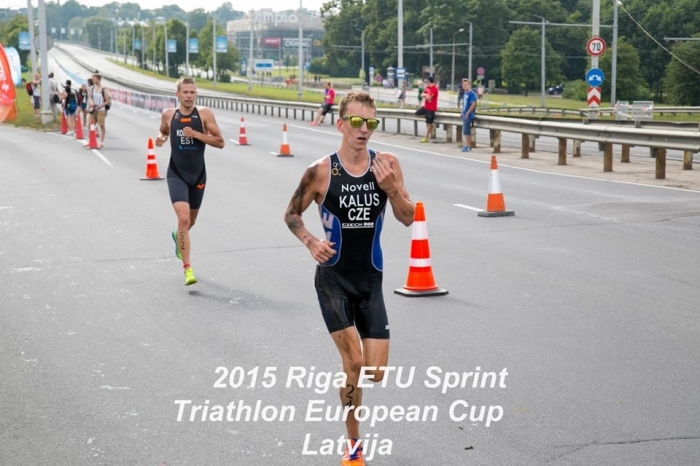 Despite hitting the deck at the same location as Ferreira, Jirka Kalus CZE bravely got up, sorted out his bike and was able to finish the 20k before setting off for a rather painful 5k. 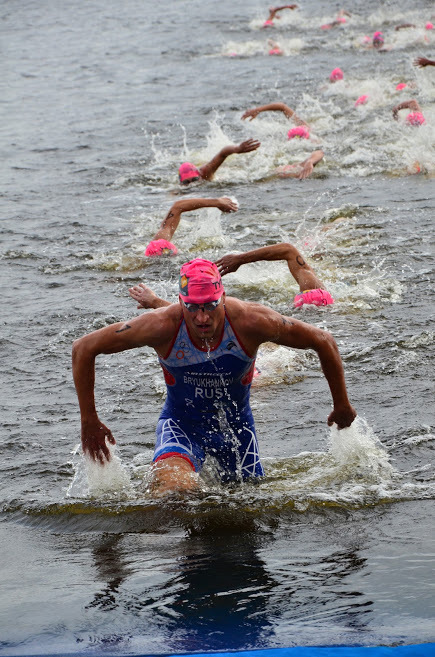 Top marks to him for his Olympic Spirit. 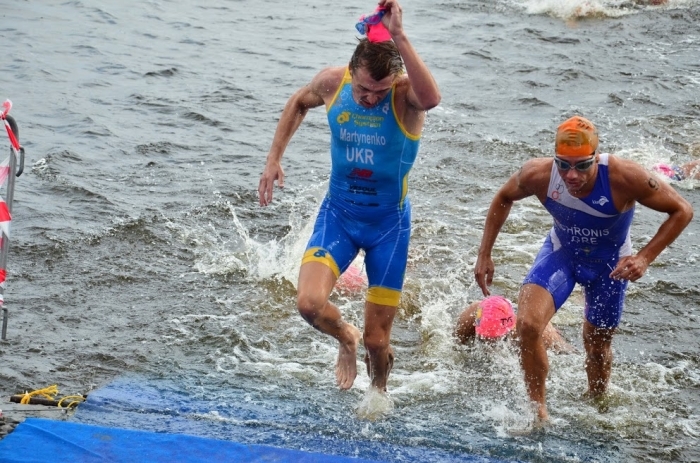 Very soon Bryukhankov Senior had established a lead. 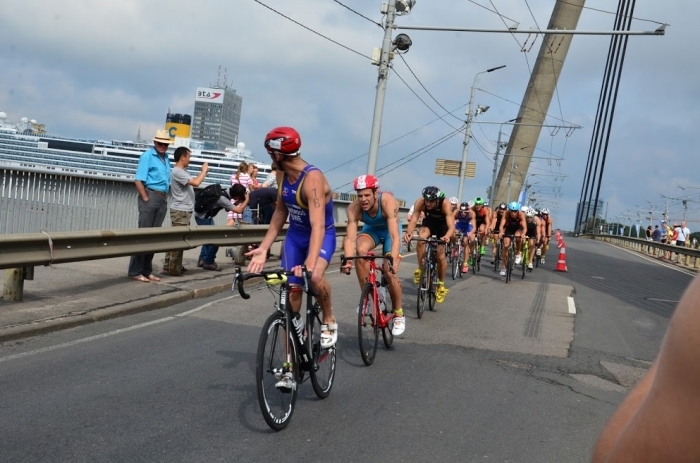 Behind him Turbayevskiy was leading Syutkin, De Cuyper and Rhyner. 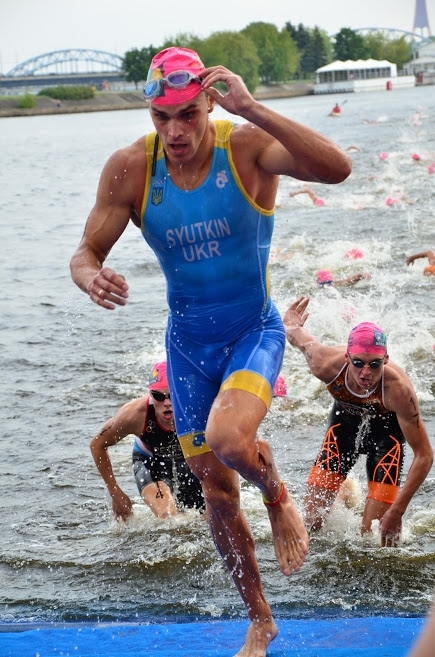 They could all see that Bryukhankov was strong but could they pull up, stay with and then break him? 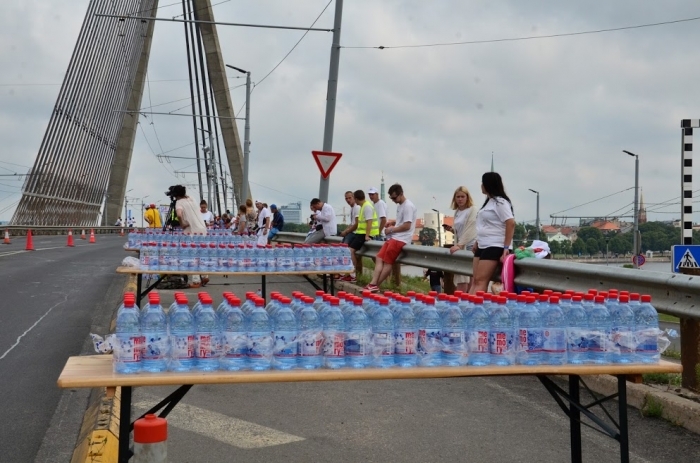 Further back the heat was beginning to make it hard for the athletes and the volunteers working the aid stations worked well to look after the athletes. Turbayevskiy would be 4th and Ryhner 5th. 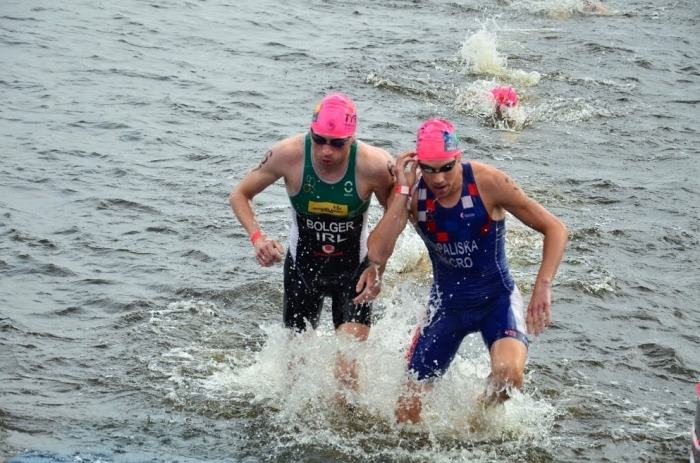 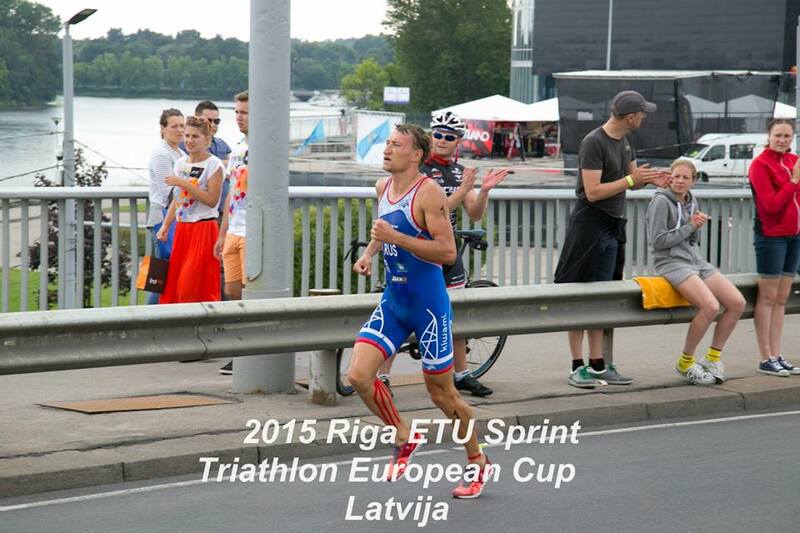 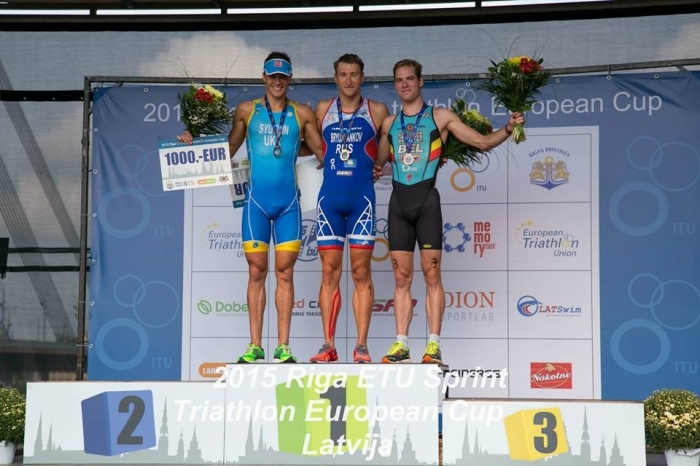 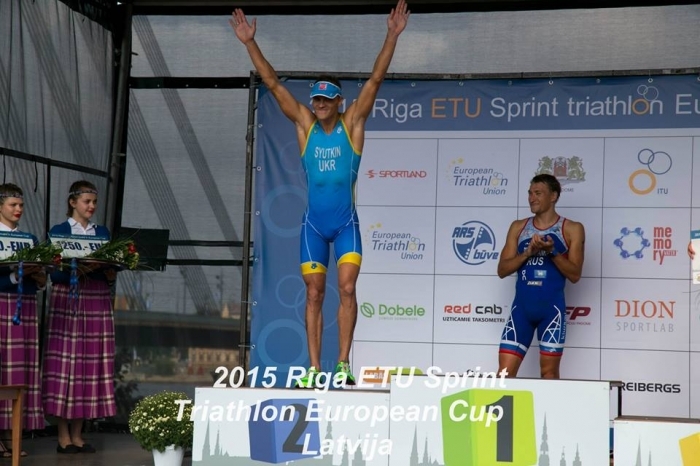 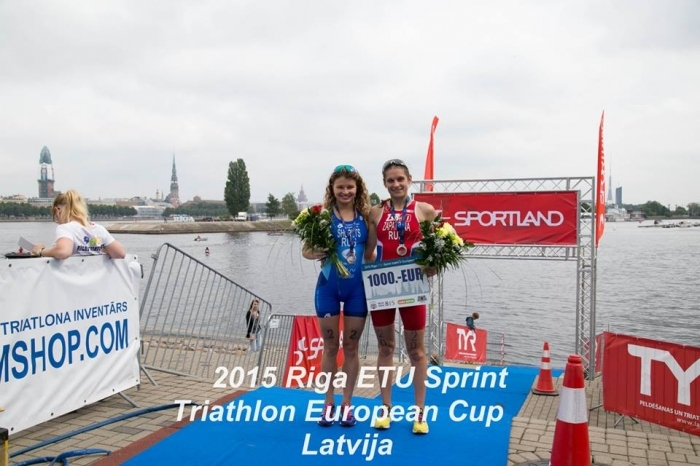 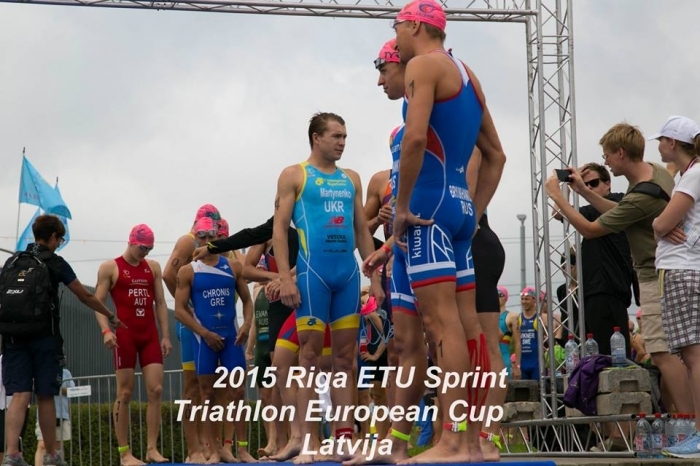 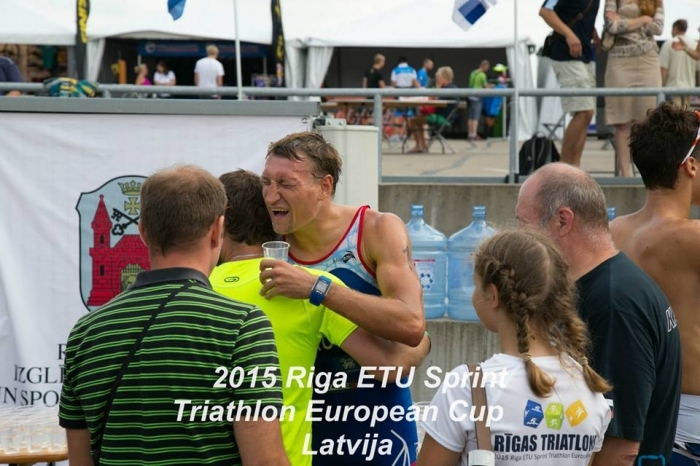 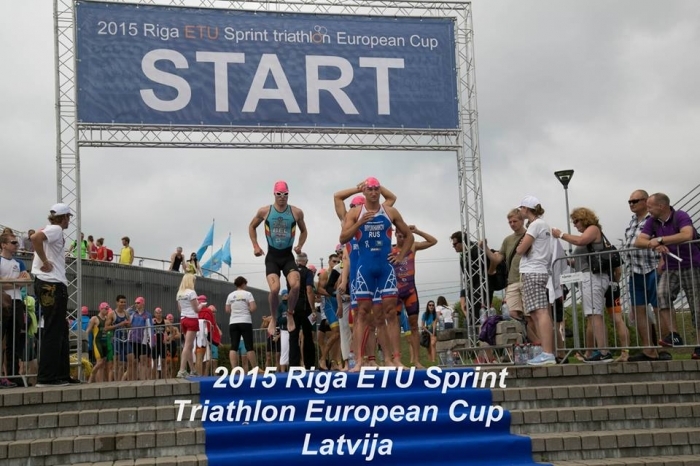 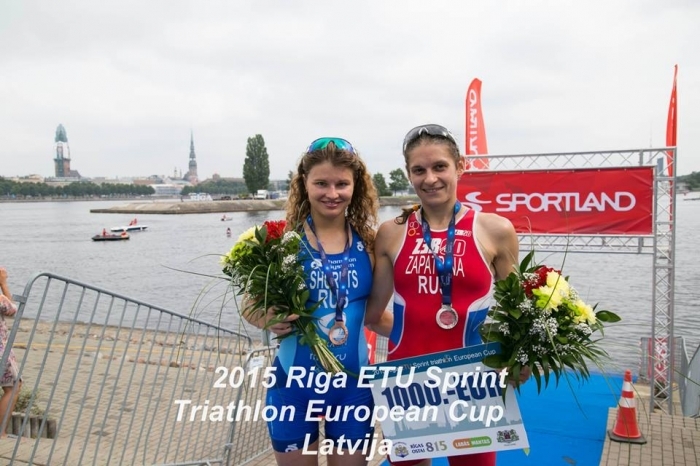 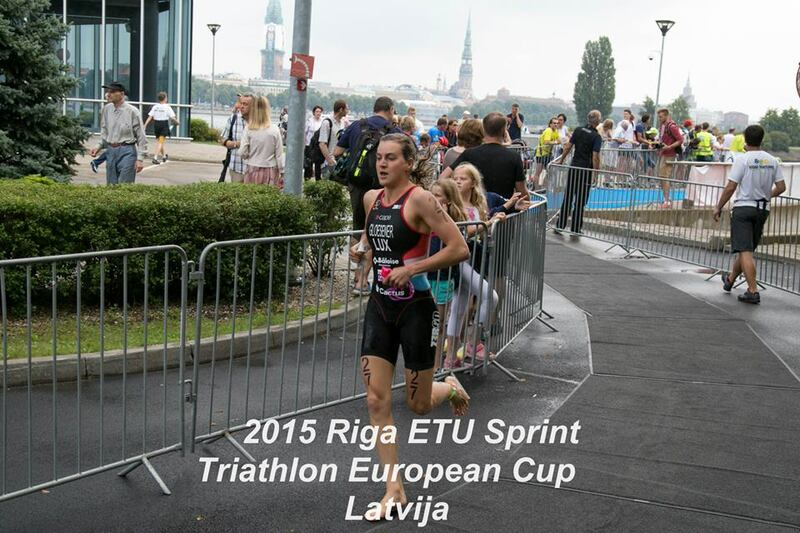 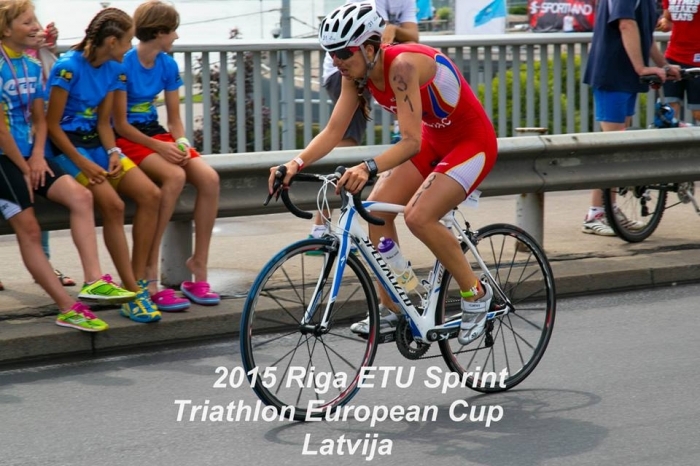 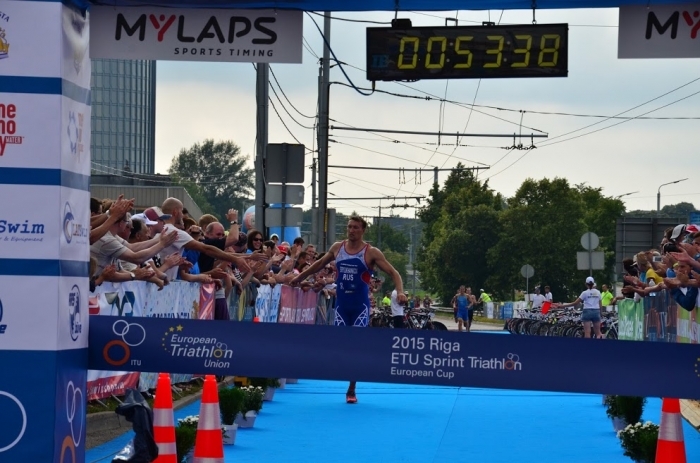 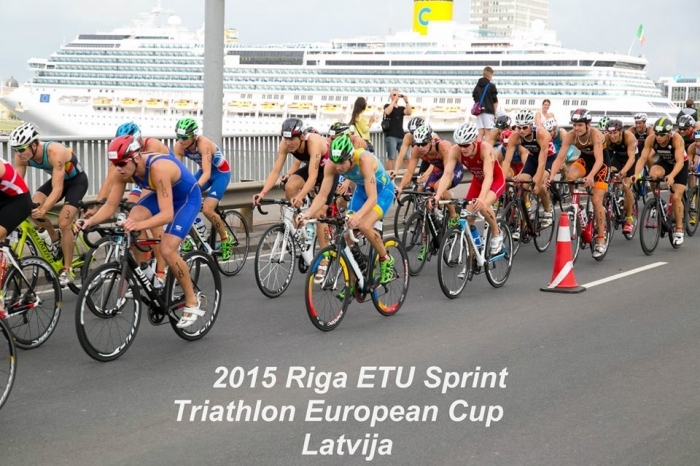 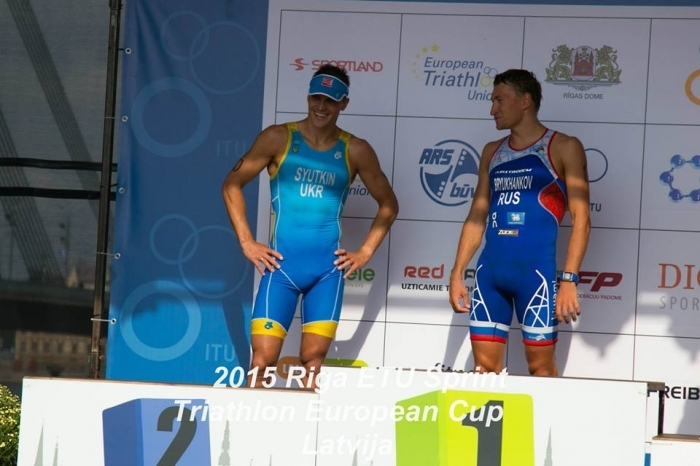 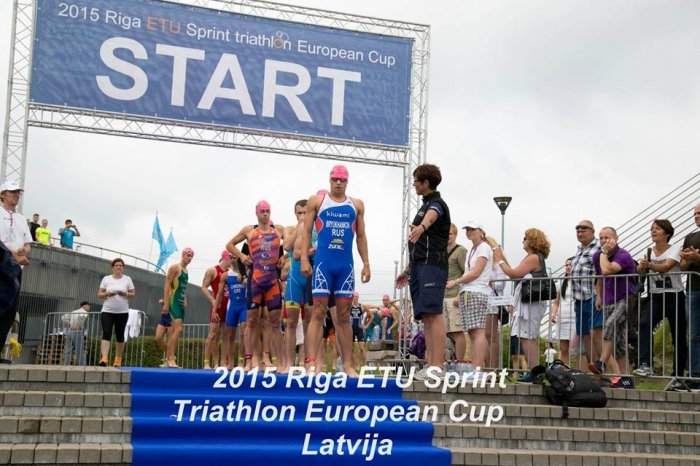 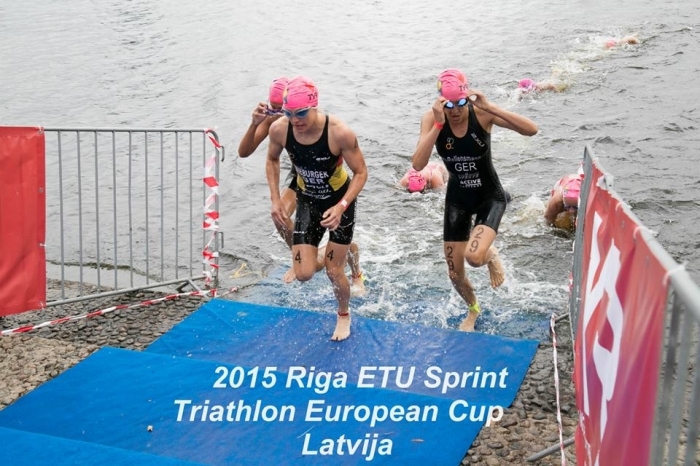 A very big thank you to the Latvian Triathlon Federation. Not only did you put on a great race but you provided live coverage, magnificent photos, great branding and merchandise and also, a wonderful chance for the athletes to create their own video using images recorded at the race. Using this website. 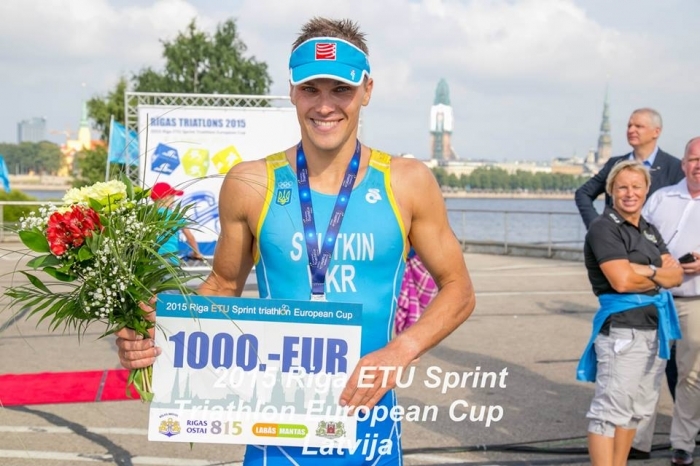 Choose the competition and athletes name or number, then click on the blue button “IZVEIDOT VIDEO”. 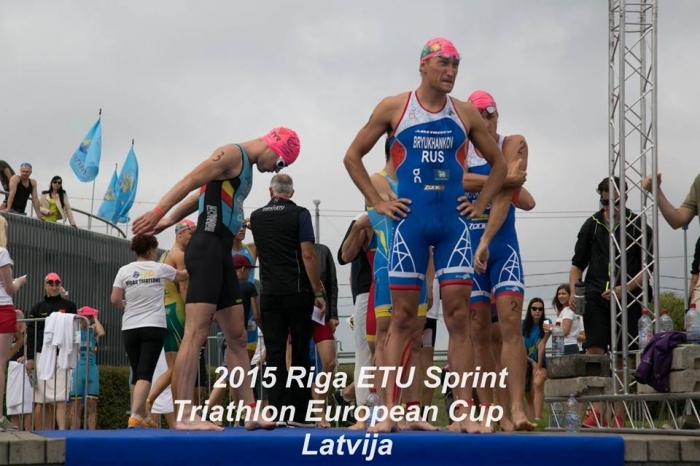 Check below for two great albums of photos.